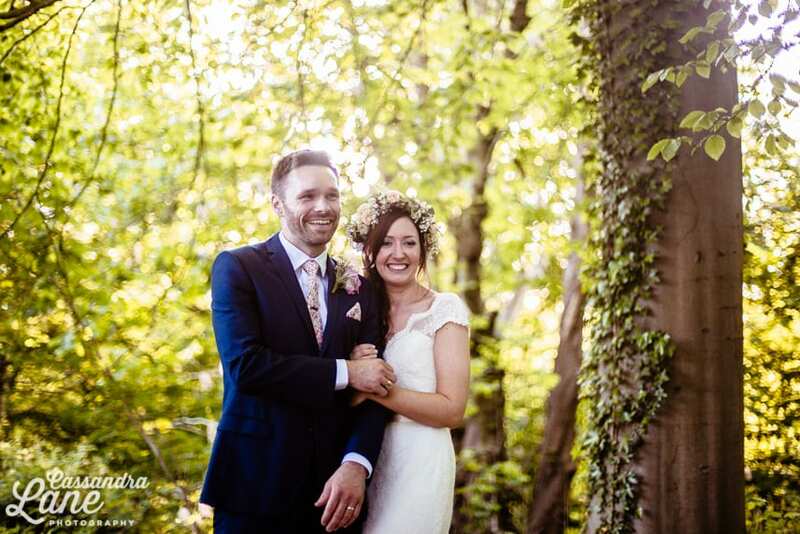 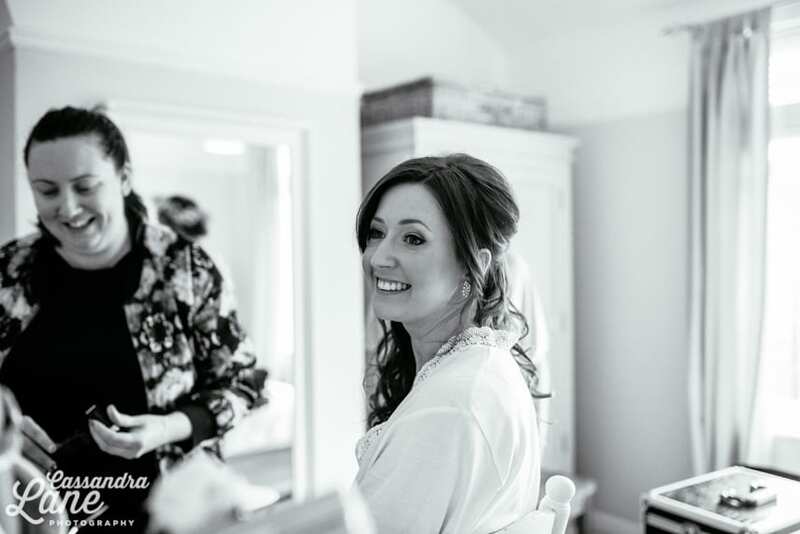 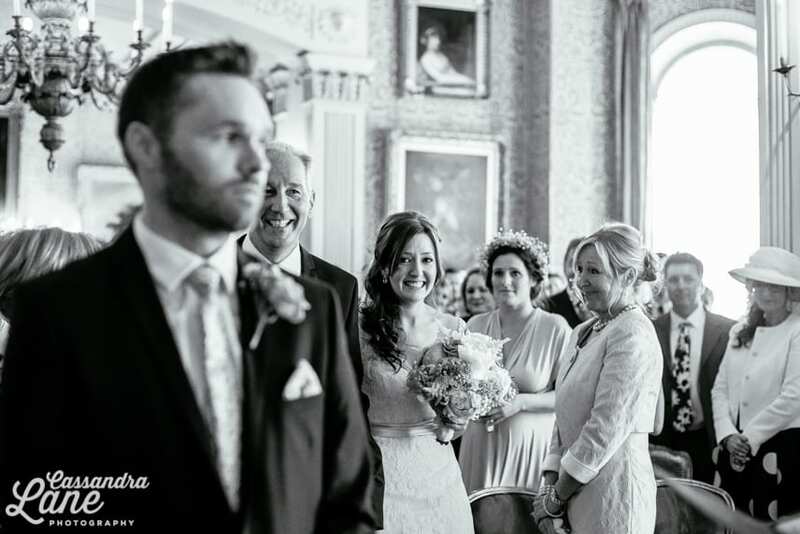 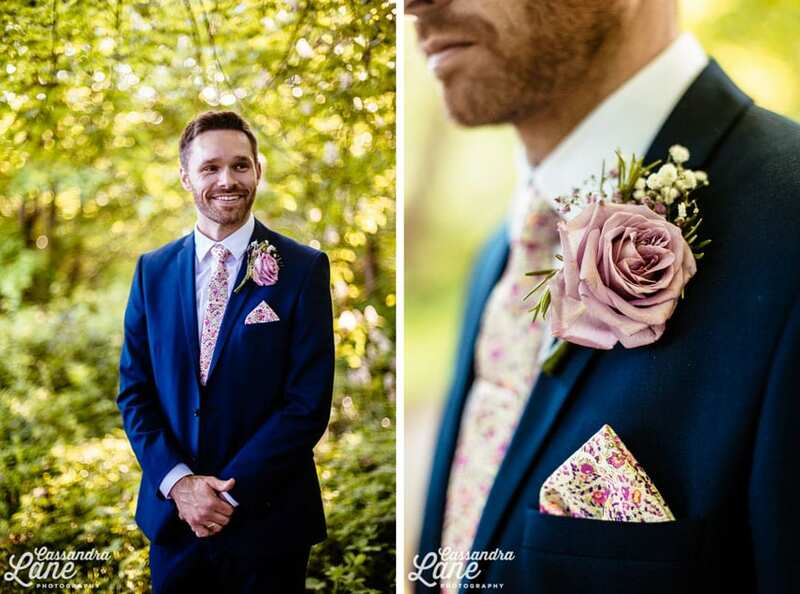 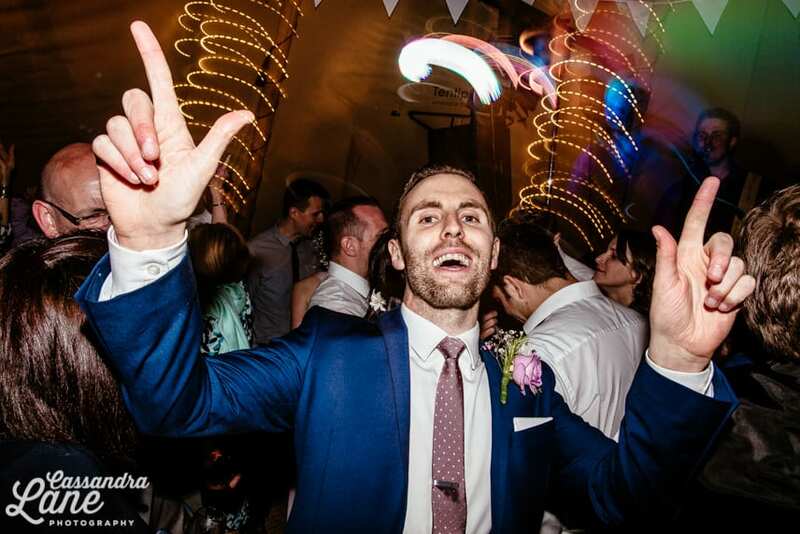 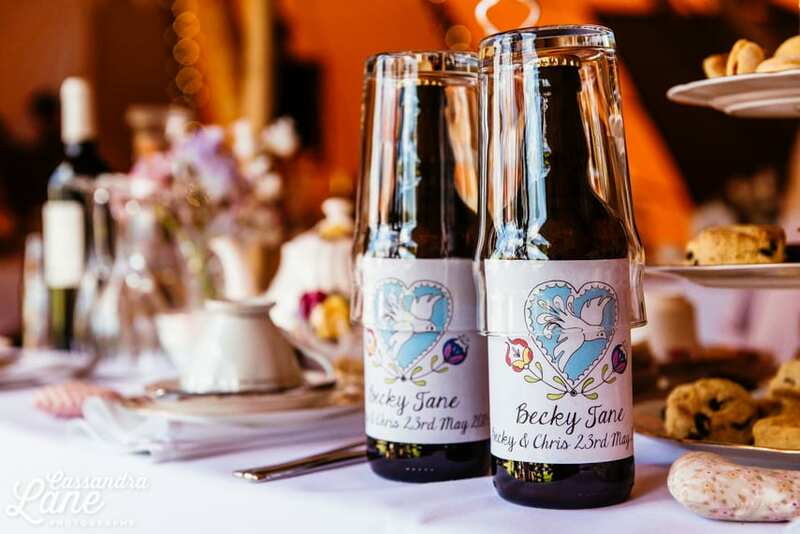 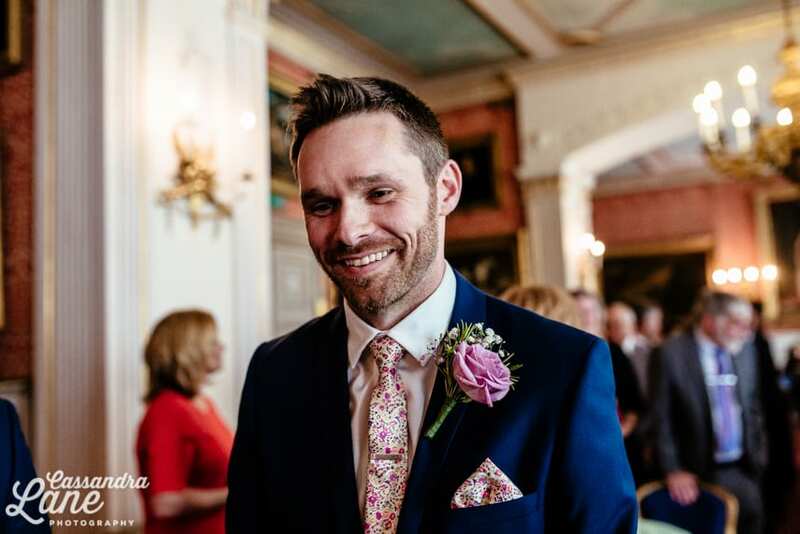 Bex & Chris were married in May at stately home Tabley House in Knutsford, Cheshire. 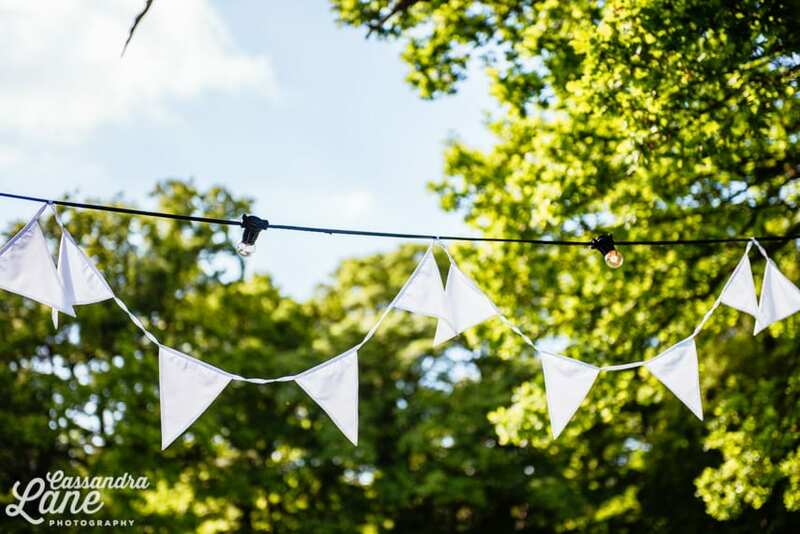 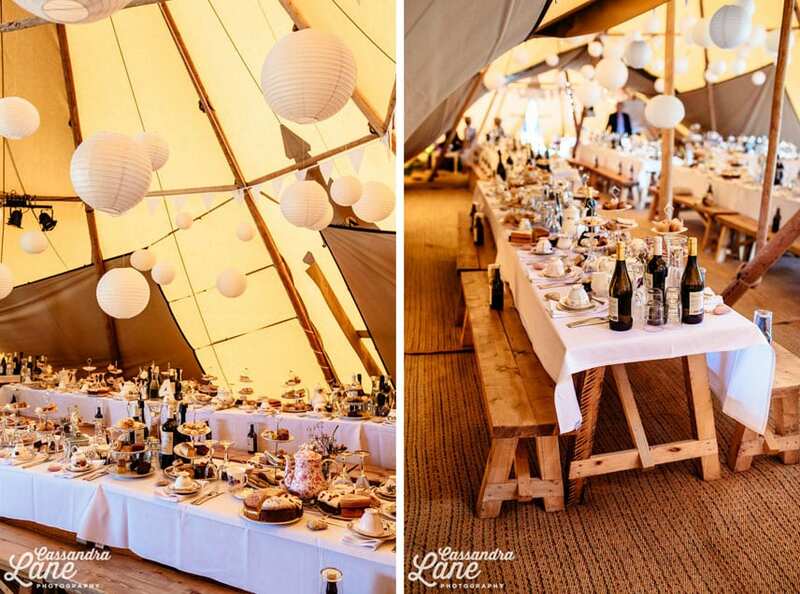 They held their rustic tipi reception in a nearby field and it was an absolutely amazing day! 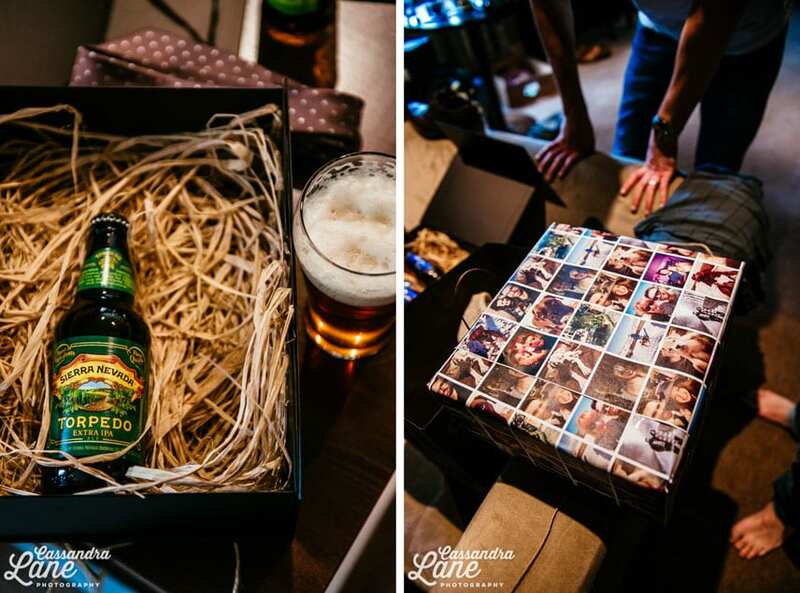 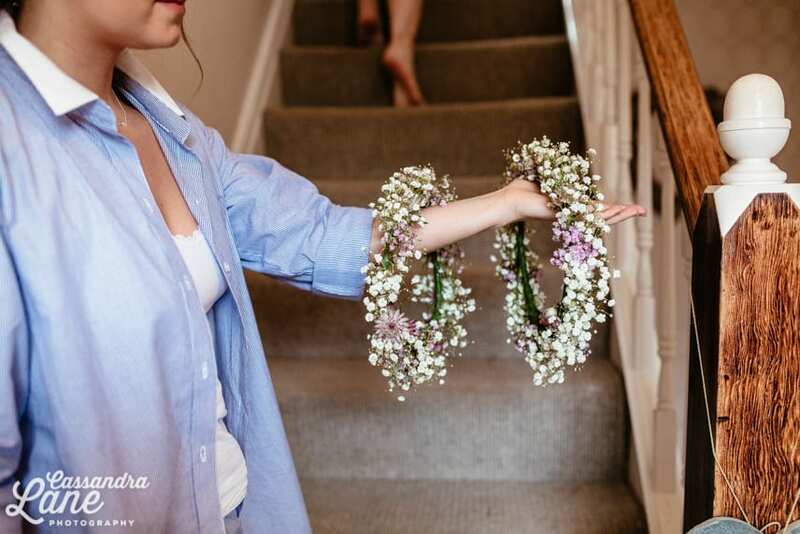 When I arrived at Bex’s preparations the first thing I saw was a puzzle that Chris had made for Bex using one of their engagement photographs. 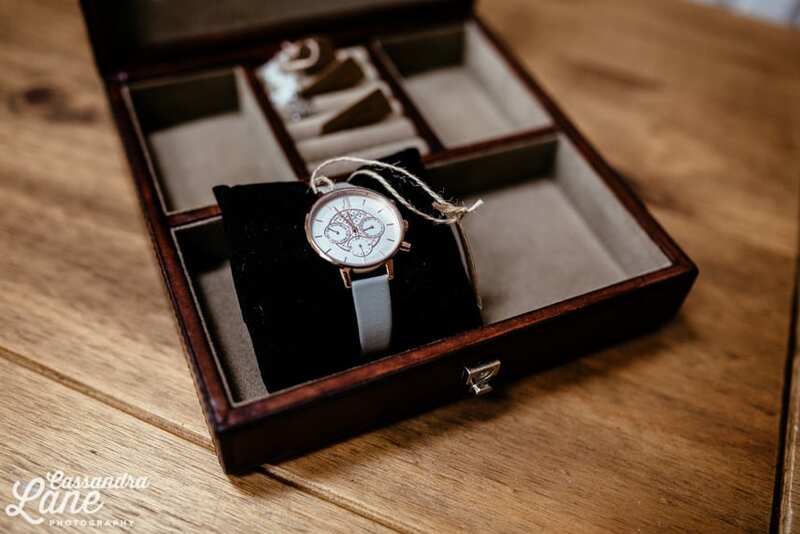 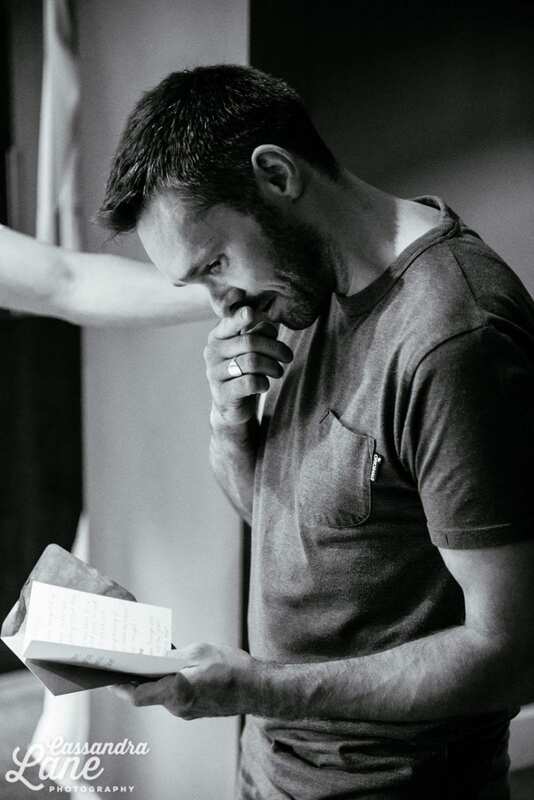 A series of clues had helped to find pieces of the puzzle, which led Bex to the beautiful watch Chris had bought for her as a present. 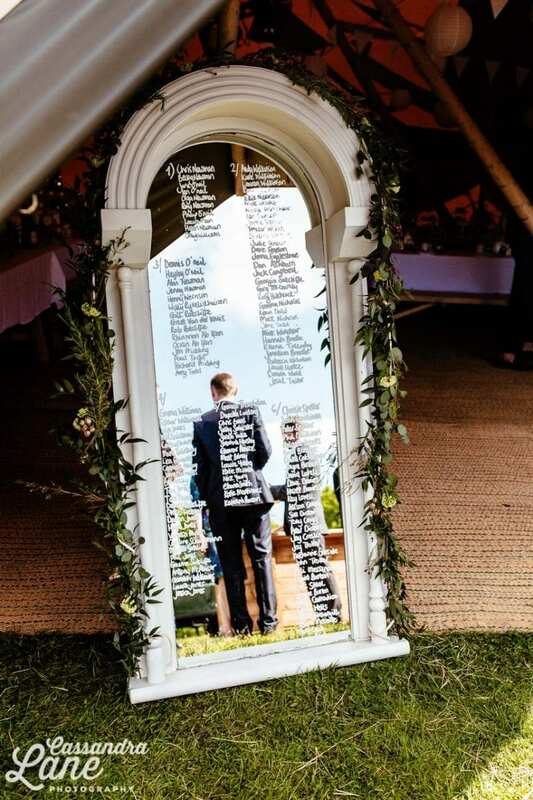 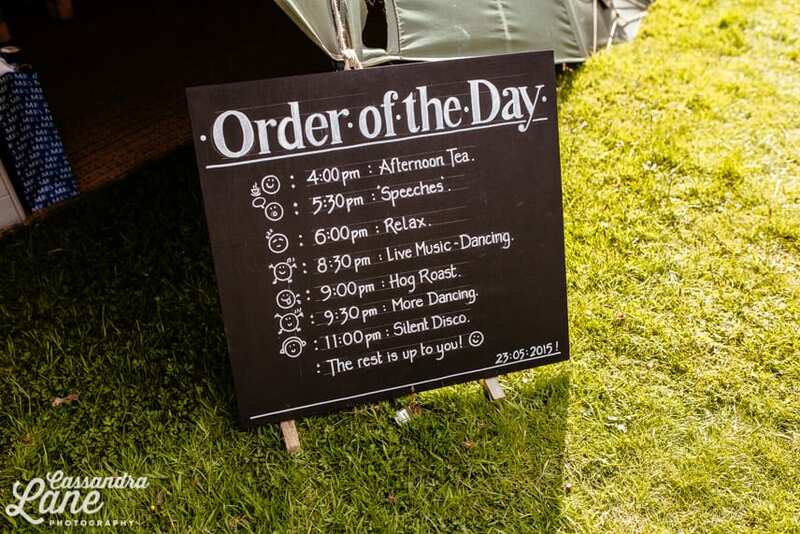 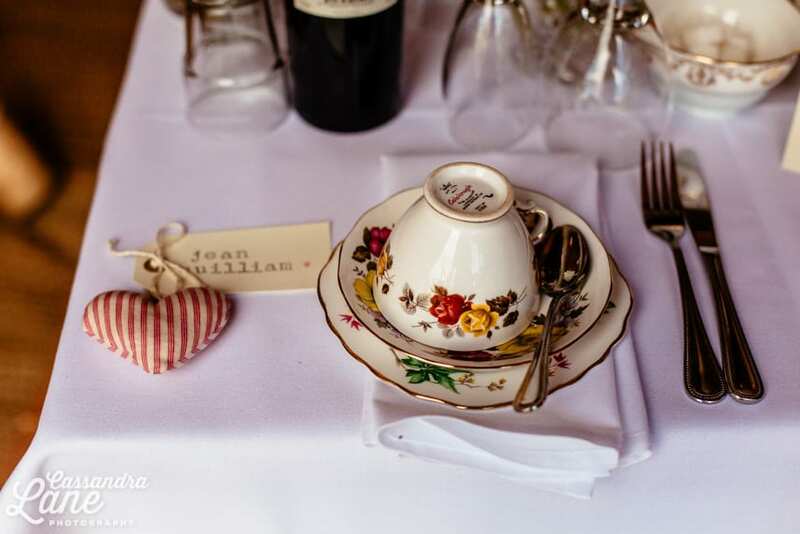 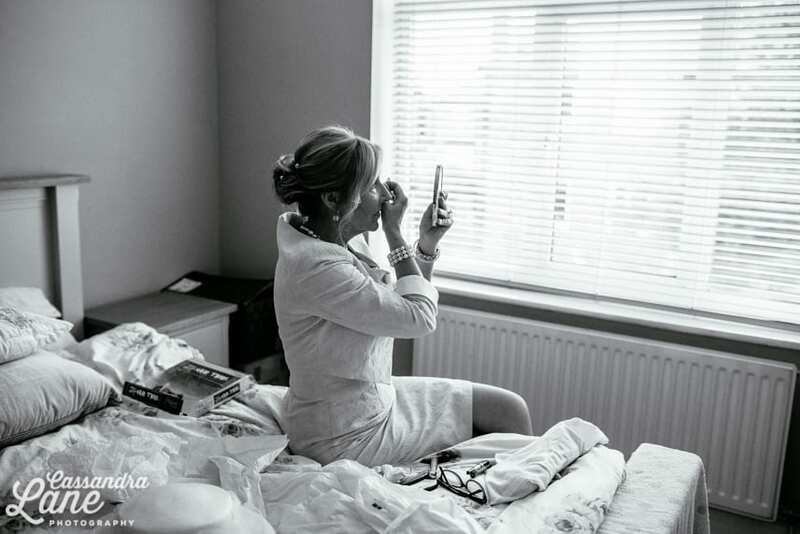 What a lovely idea for a wedding morning! 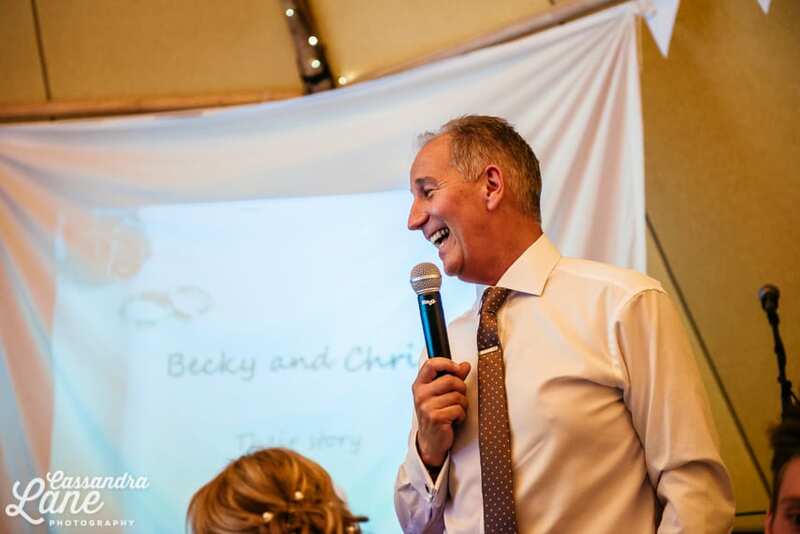 My second shooter Jack from Don’t Say Cheese was with the boys getting ready at The Mere Hotel & Spa and captured Chris opening his gift from Bex too. 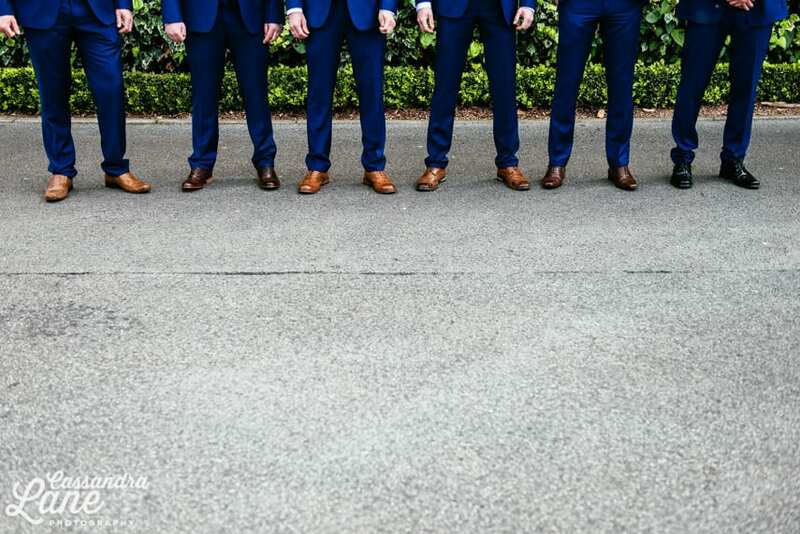 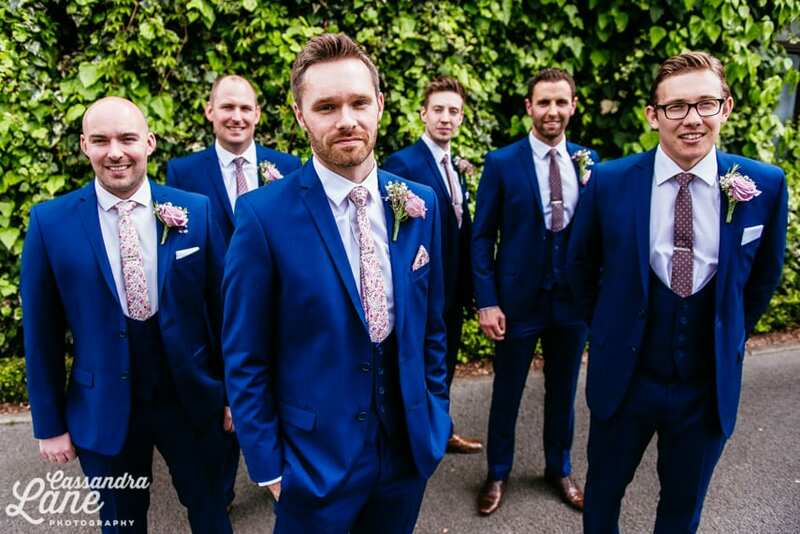 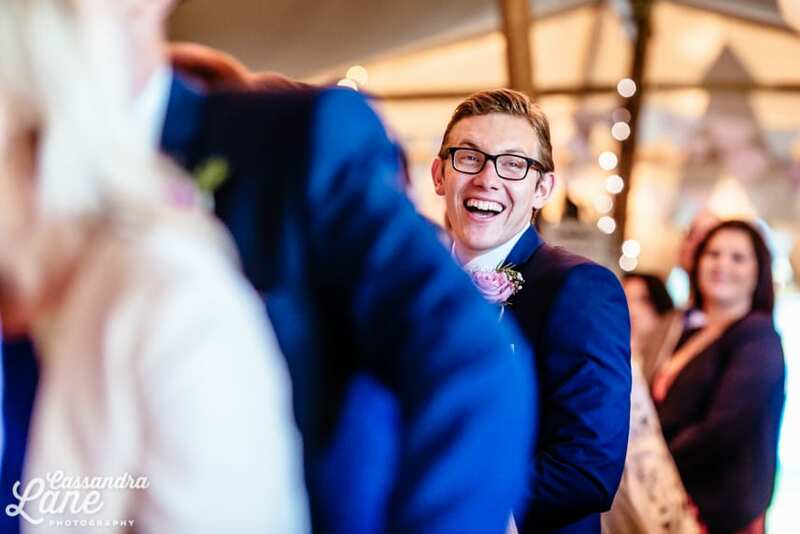 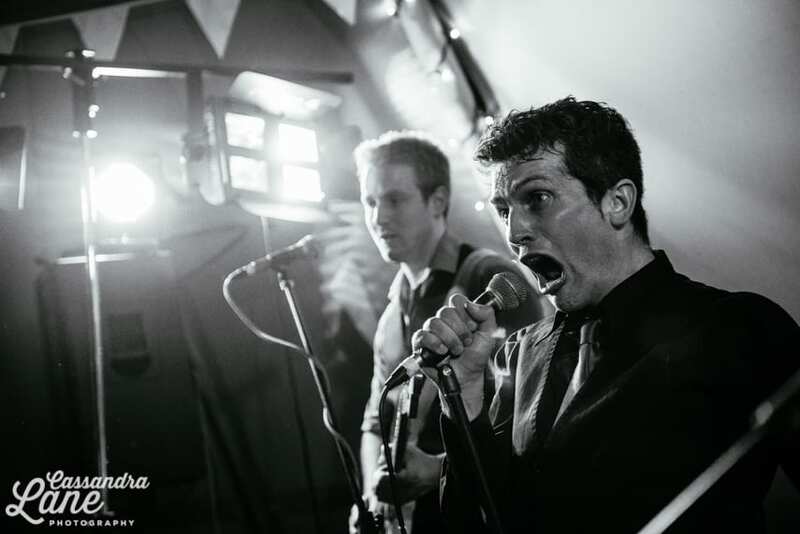 Afterwards, Chris and his groomsmen got changed into navy suits, brogues and matching ties and initial tie pins. 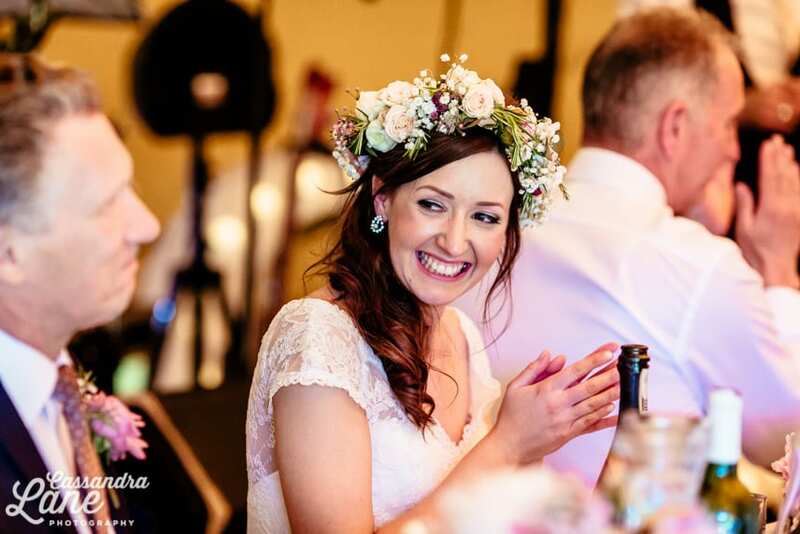 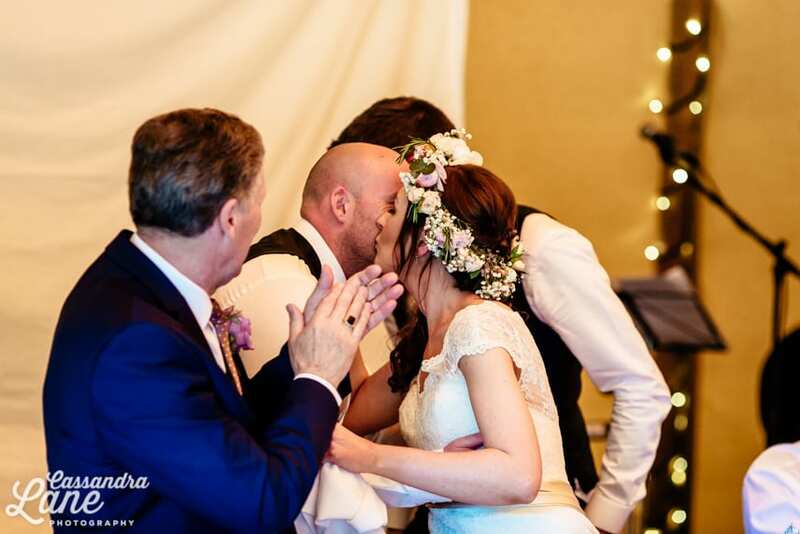 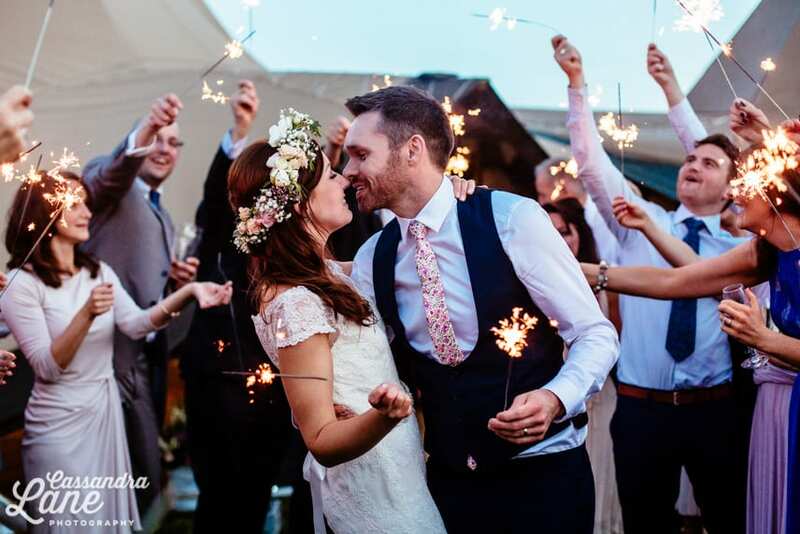 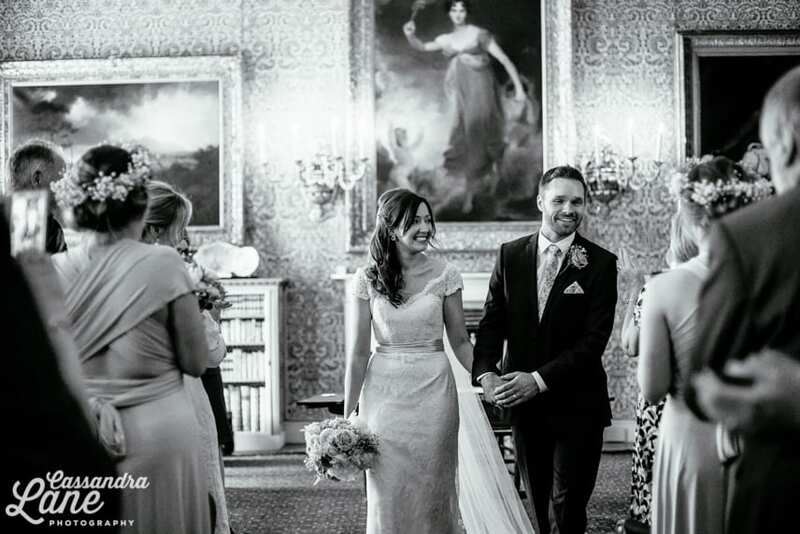 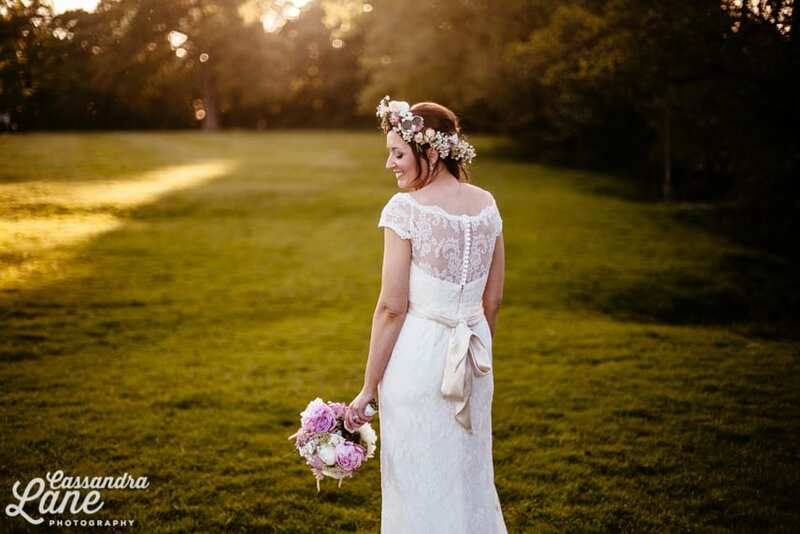 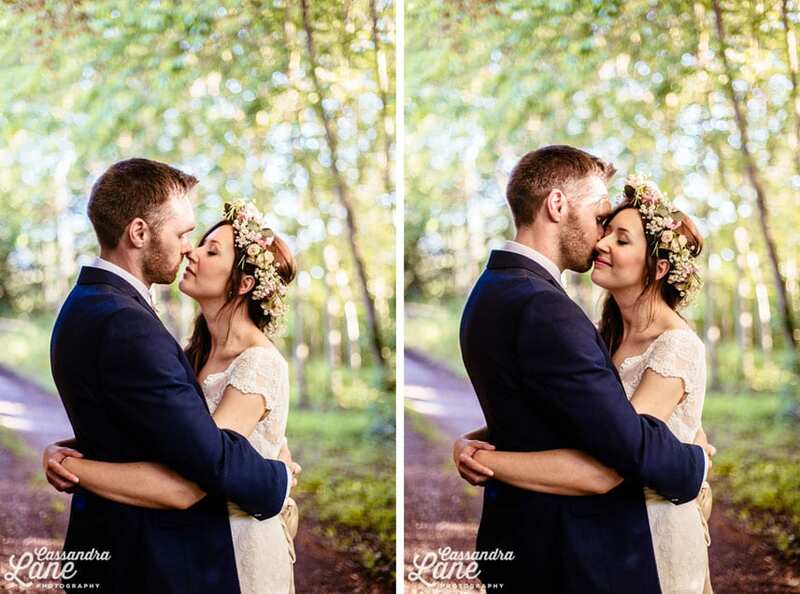 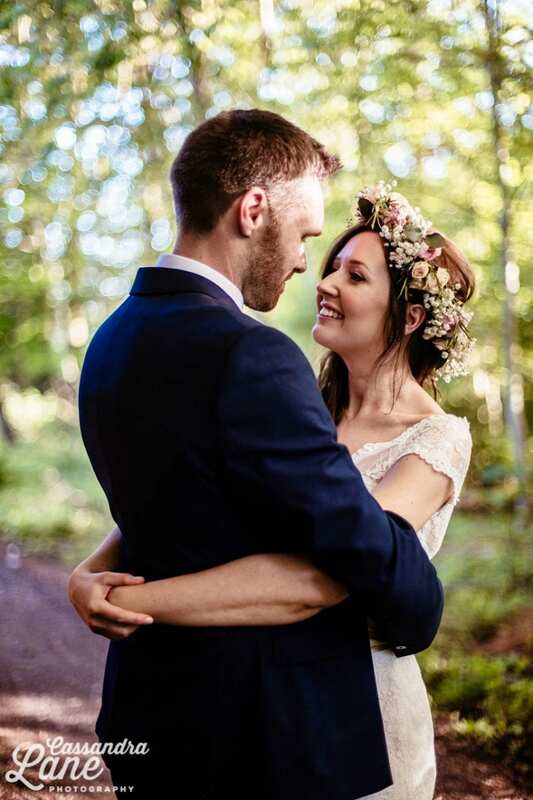 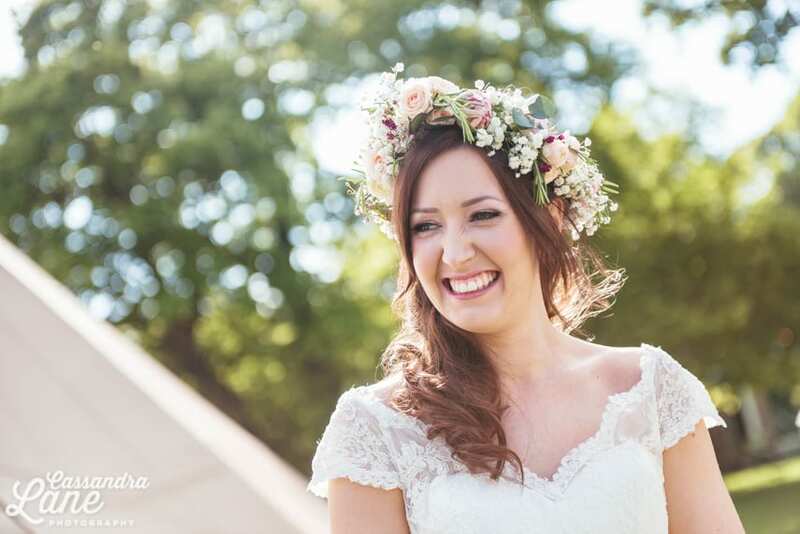 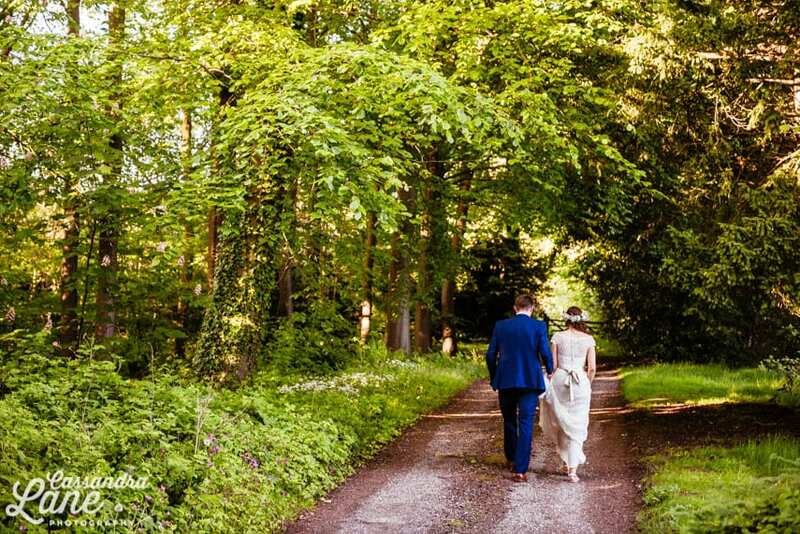 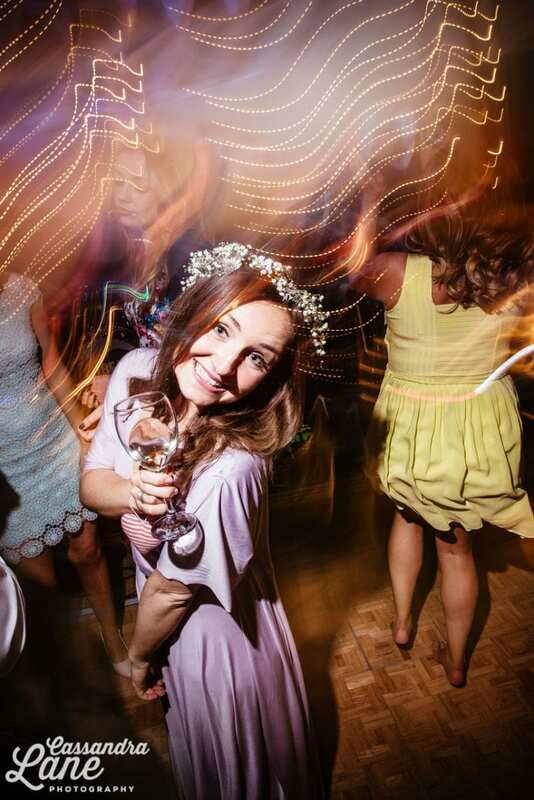 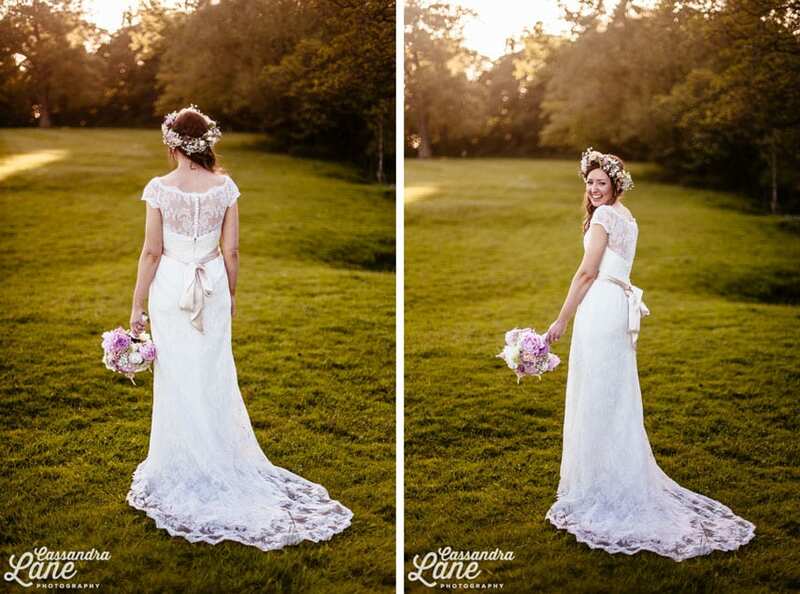 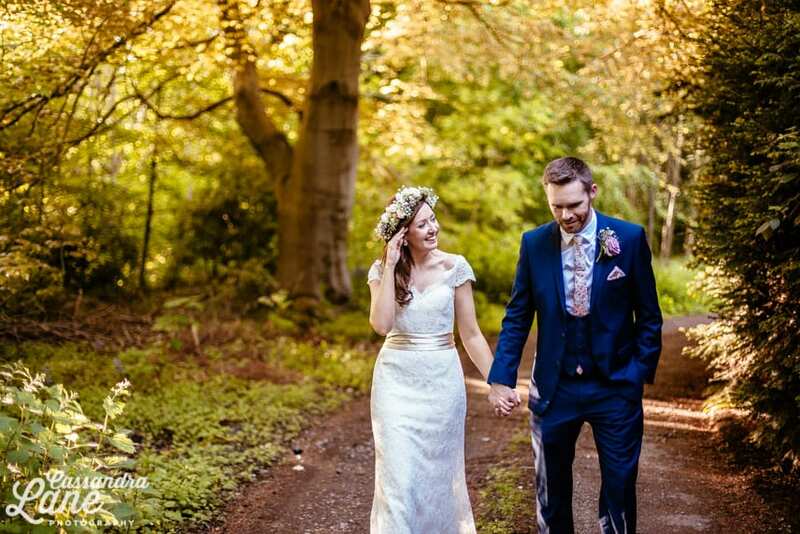 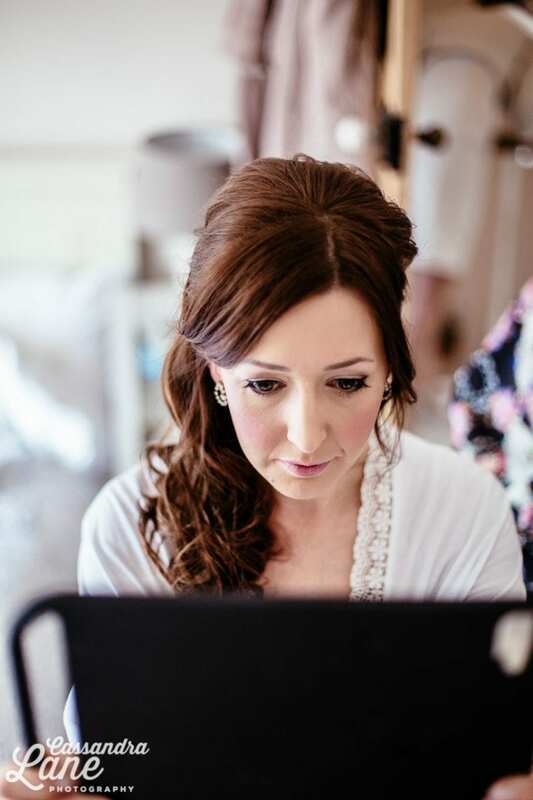 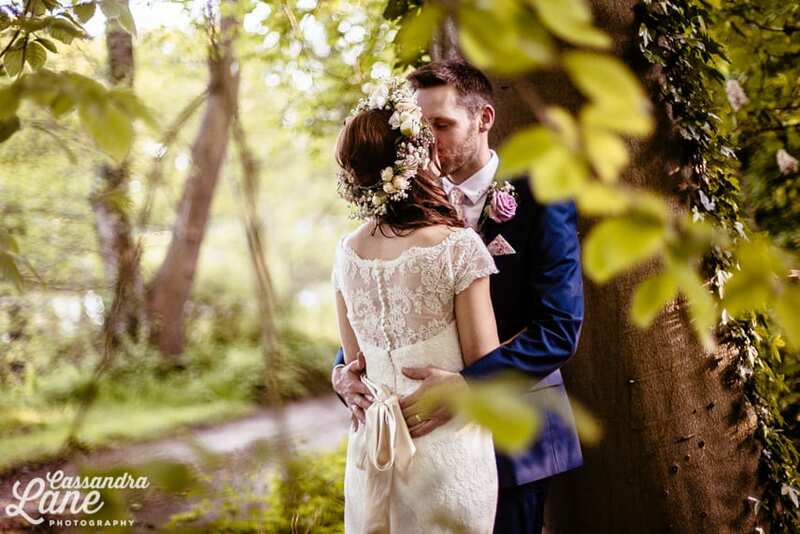 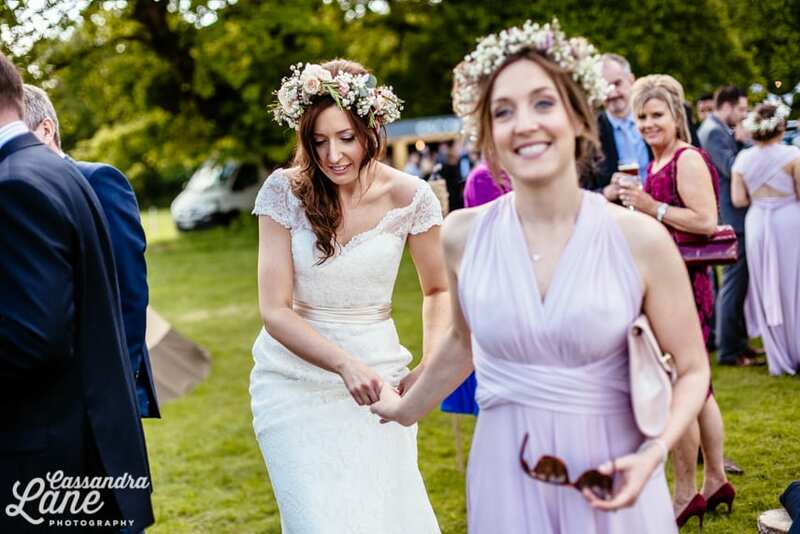 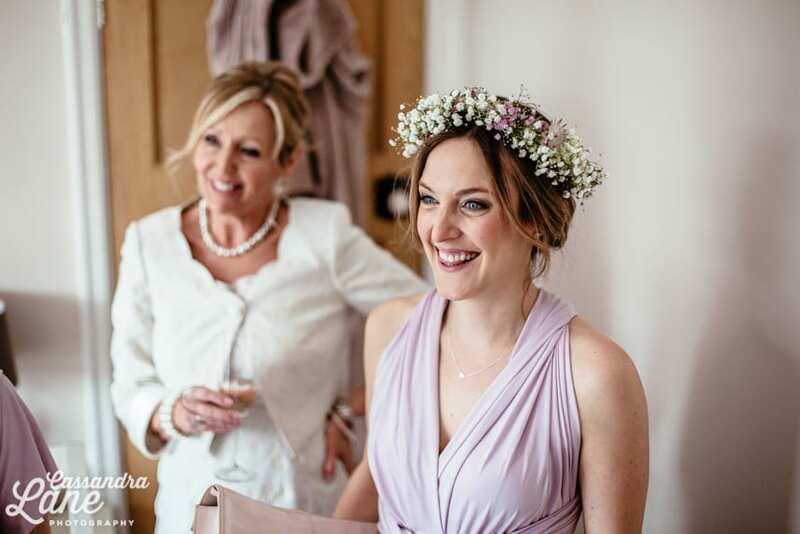 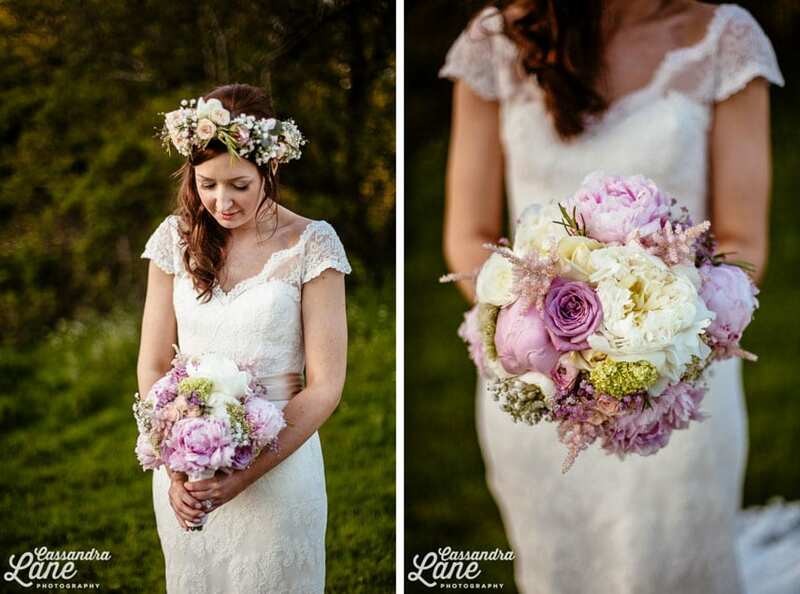 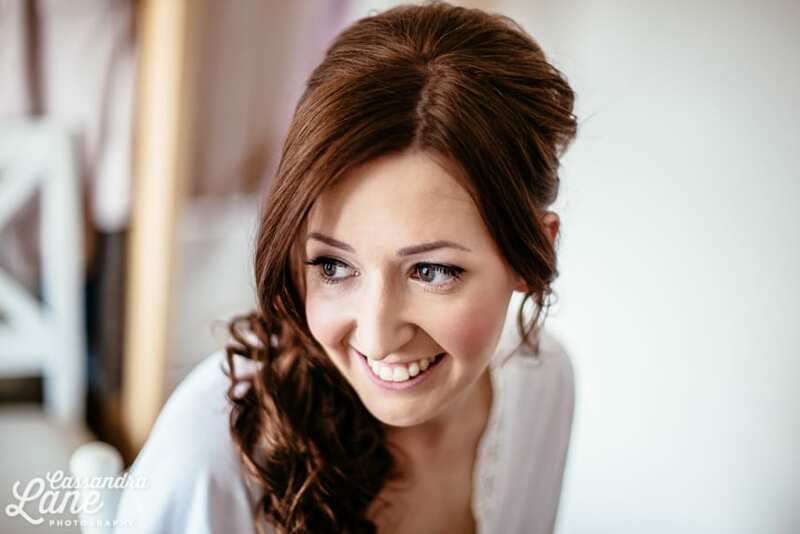 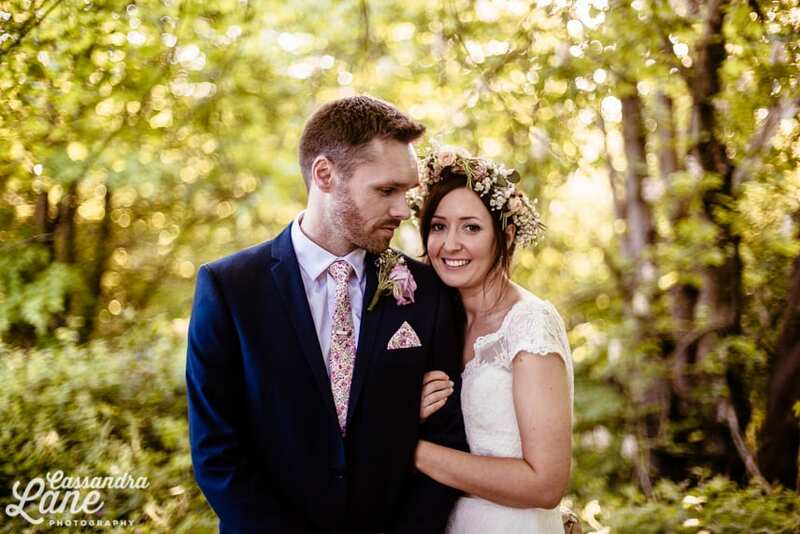 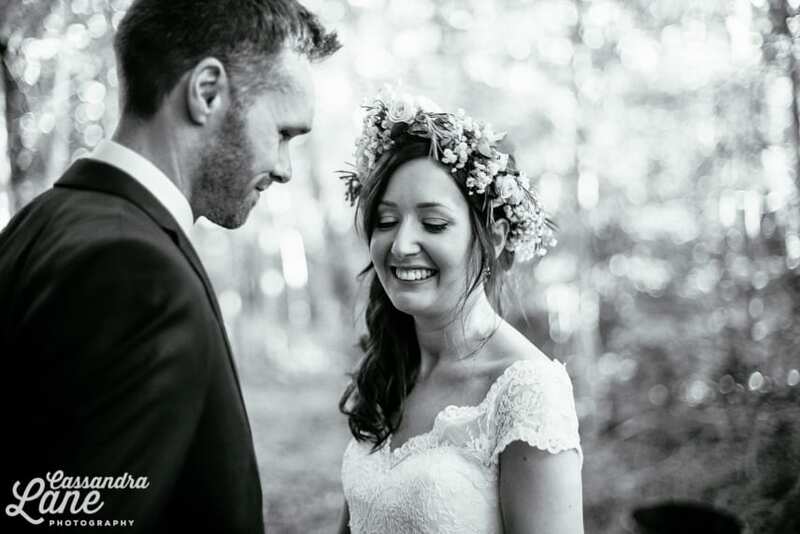 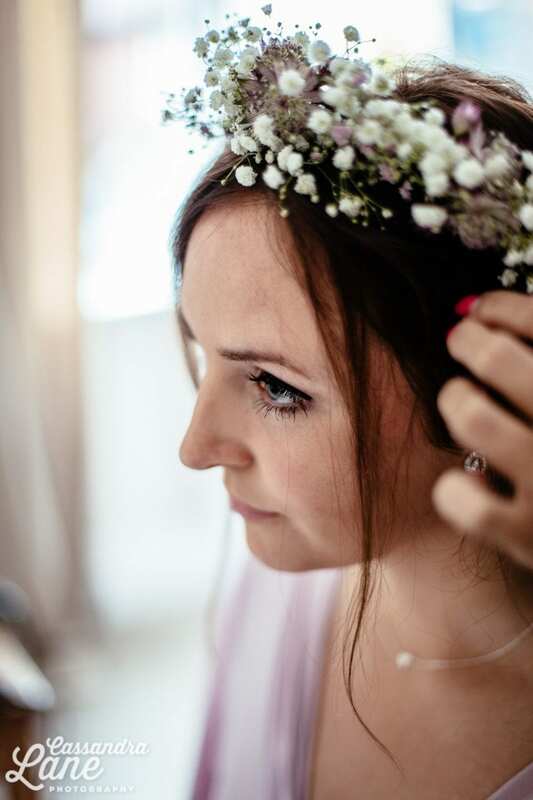 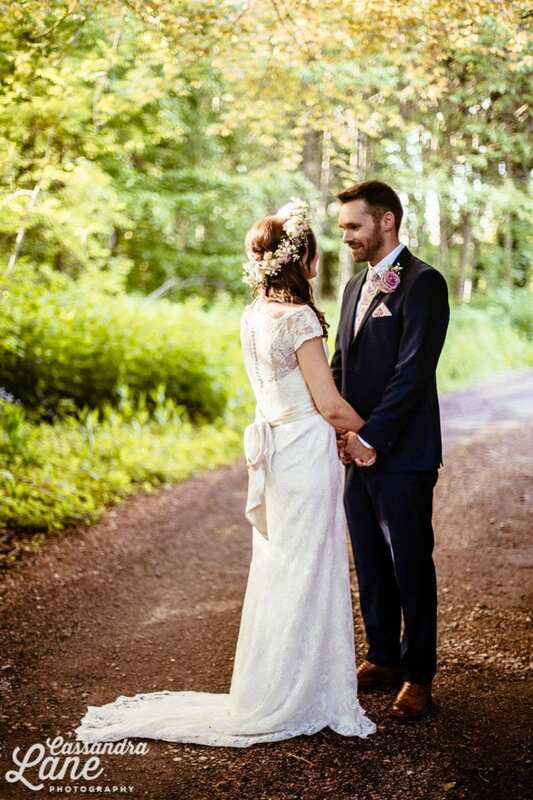 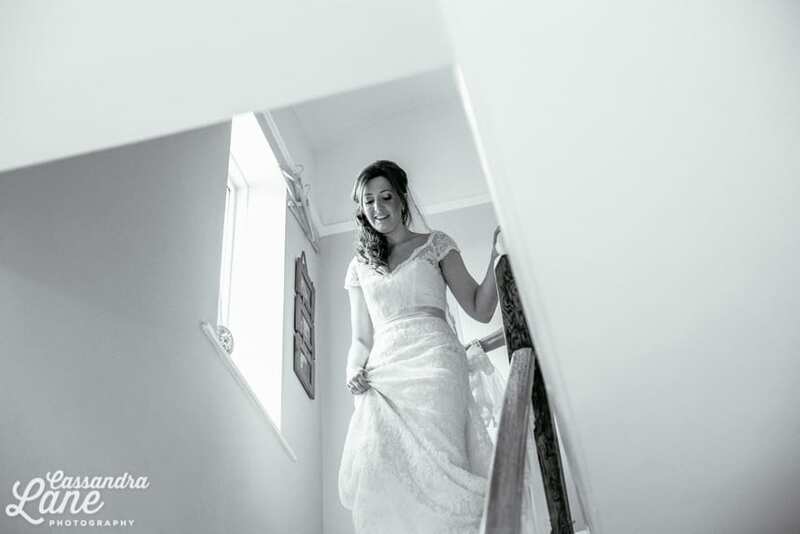 Bex looked stunning in a lace wedding dress from Cheshire bridal boutique Agape. 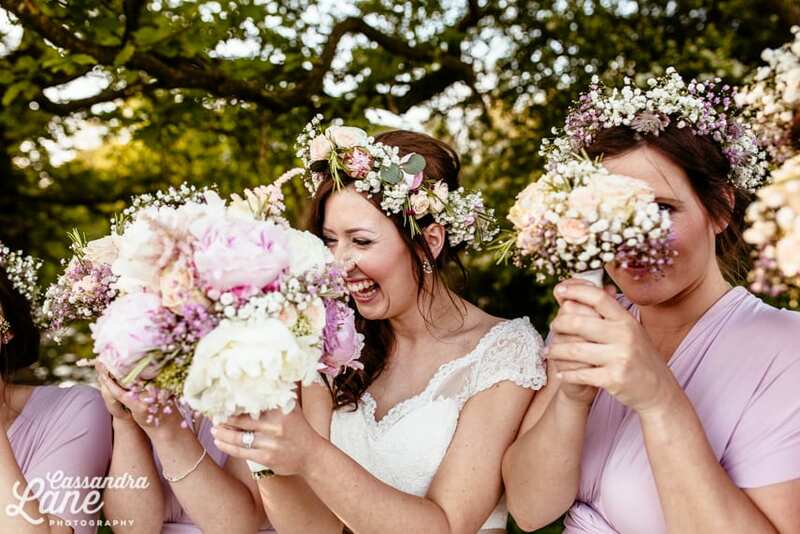 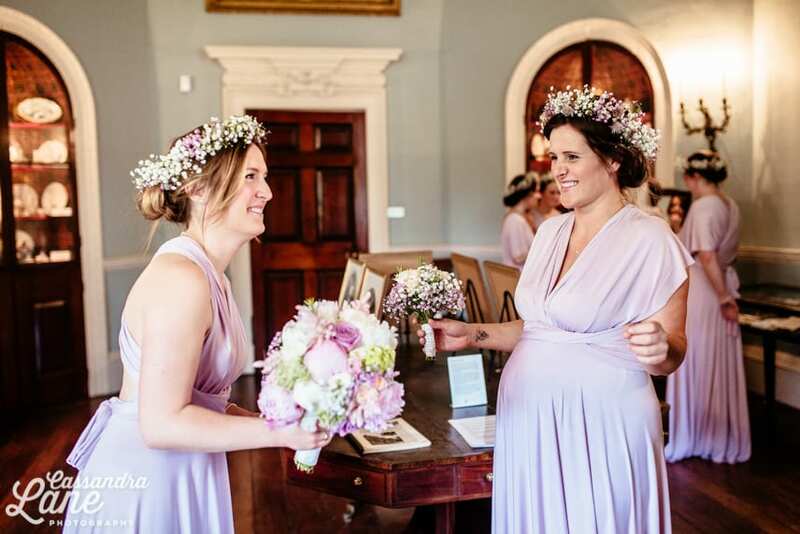 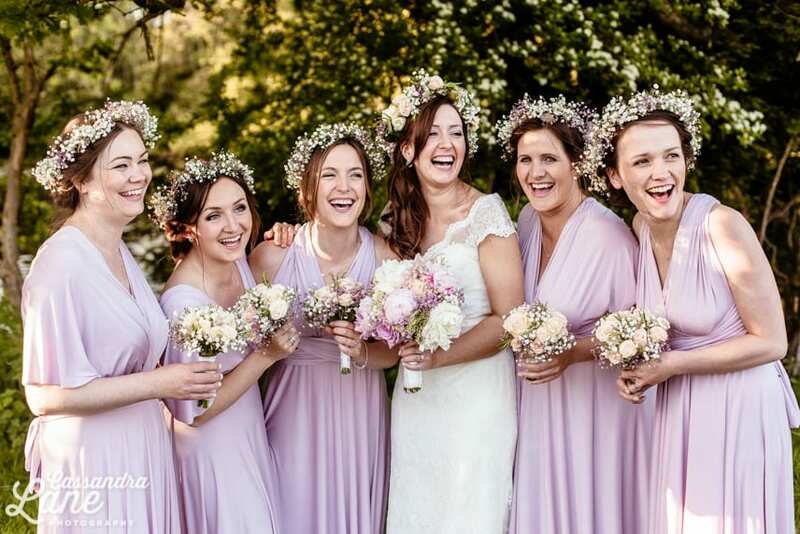 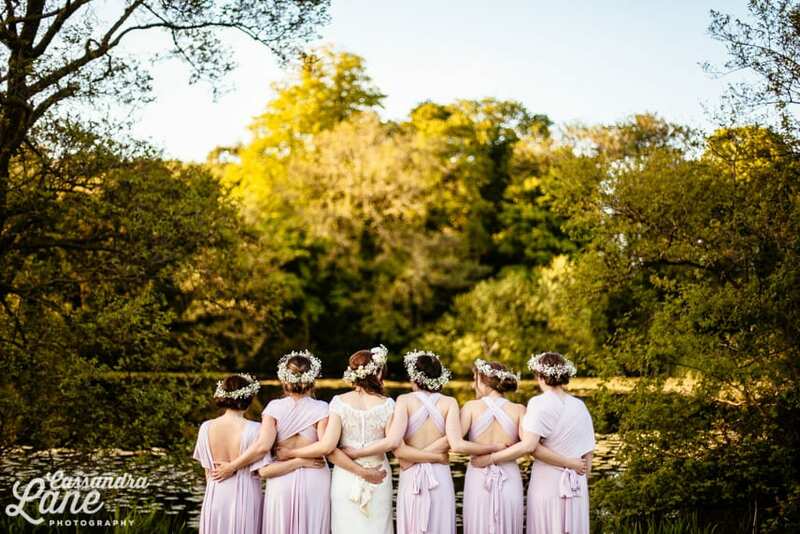 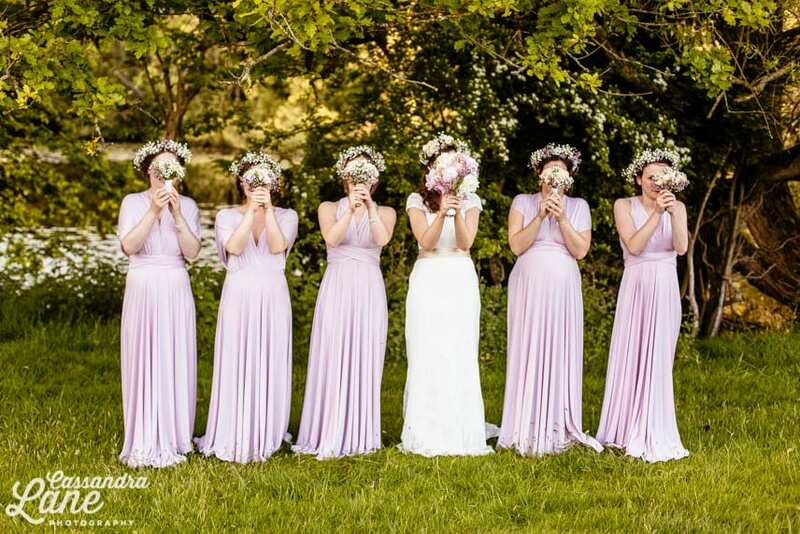 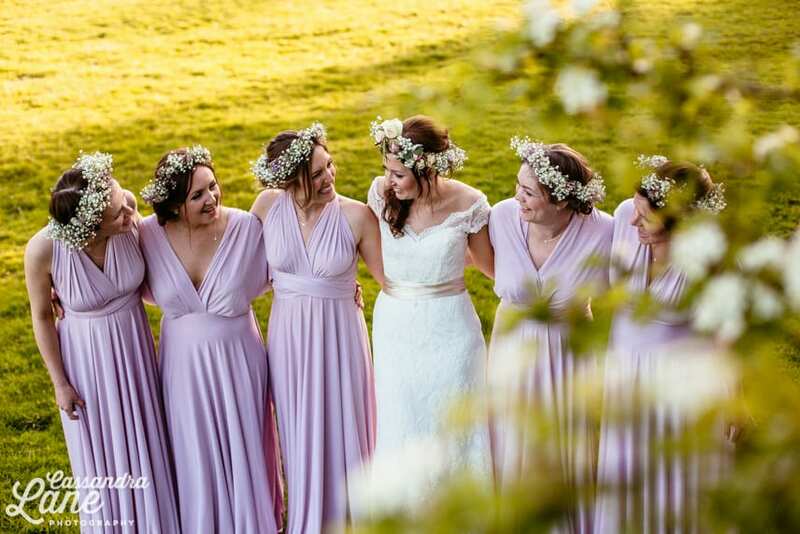 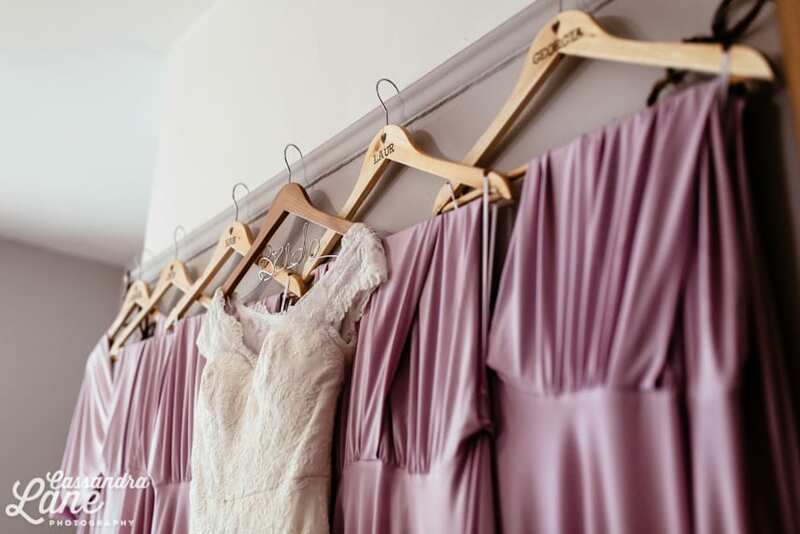 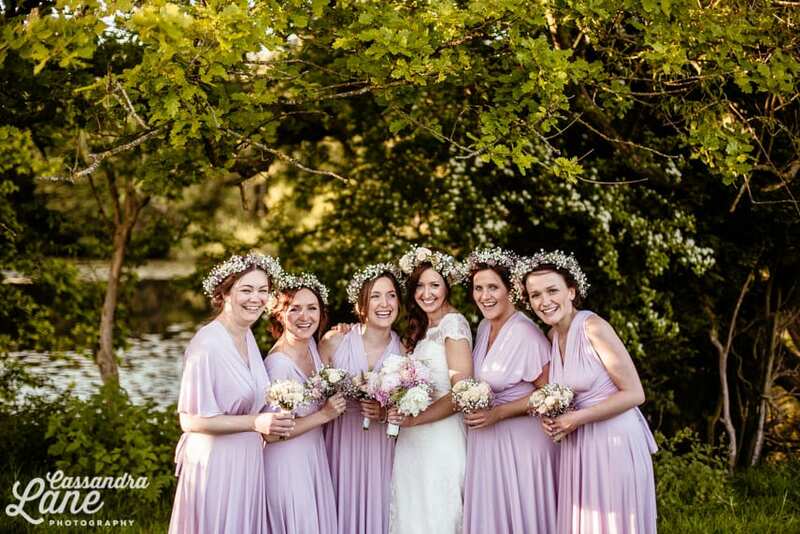 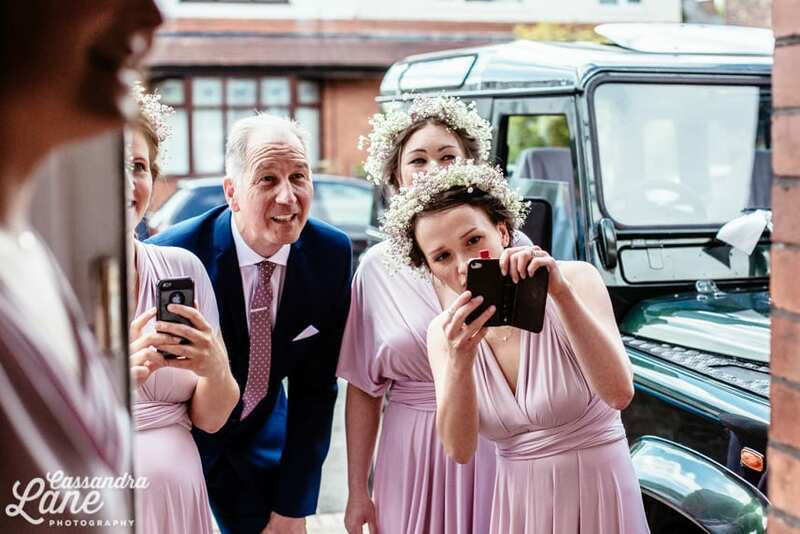 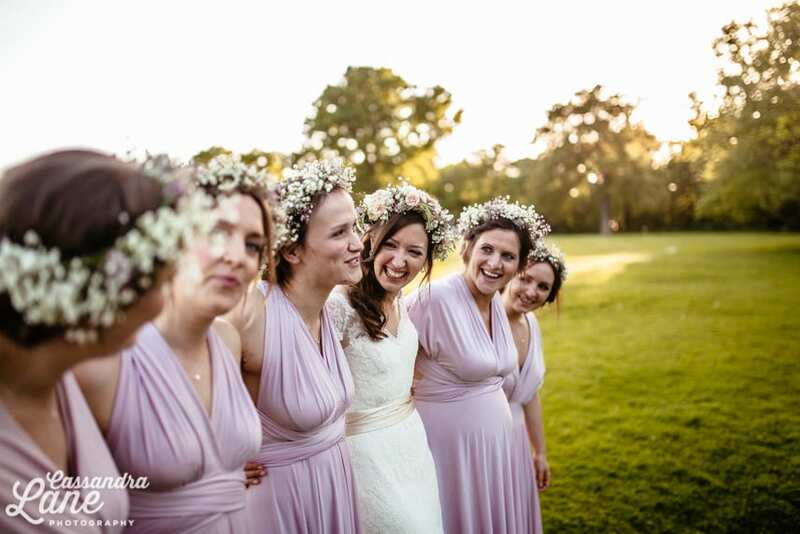 Her bridesmaids wore beautiful lilac dresses from Dessy, with flower crowns and bouquets made by Bex’s aunt (who did an awesome job with all the flowers!). 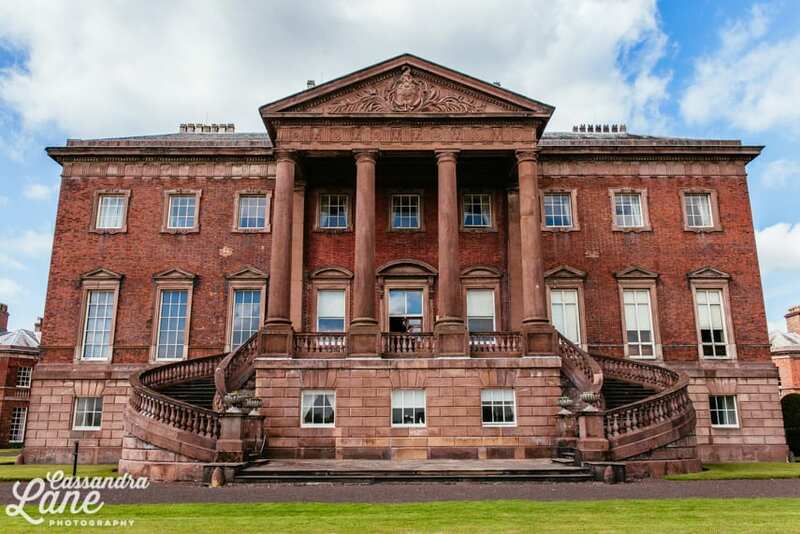 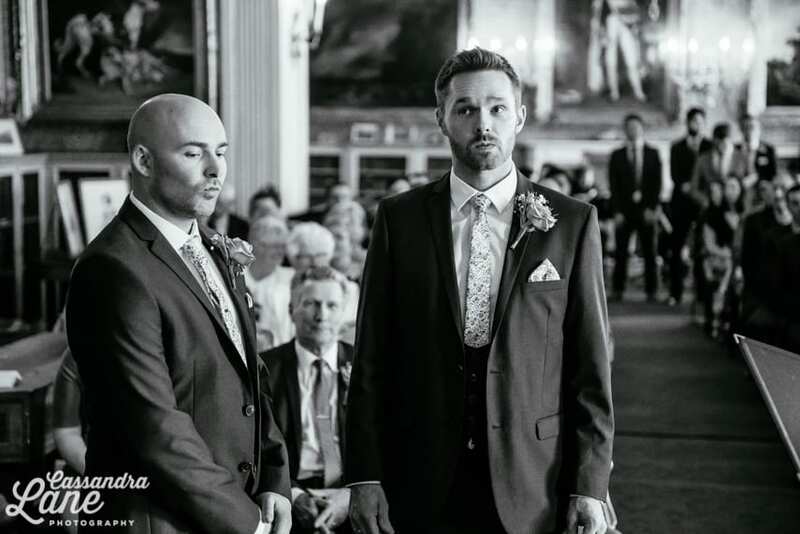 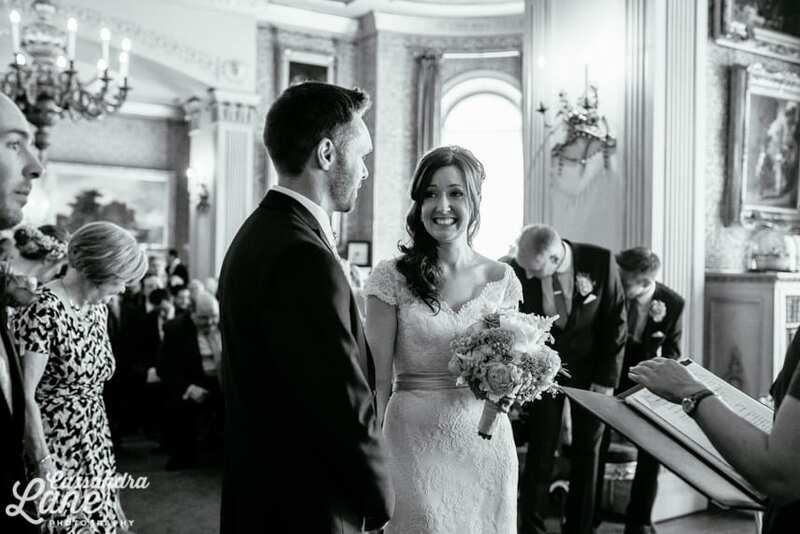 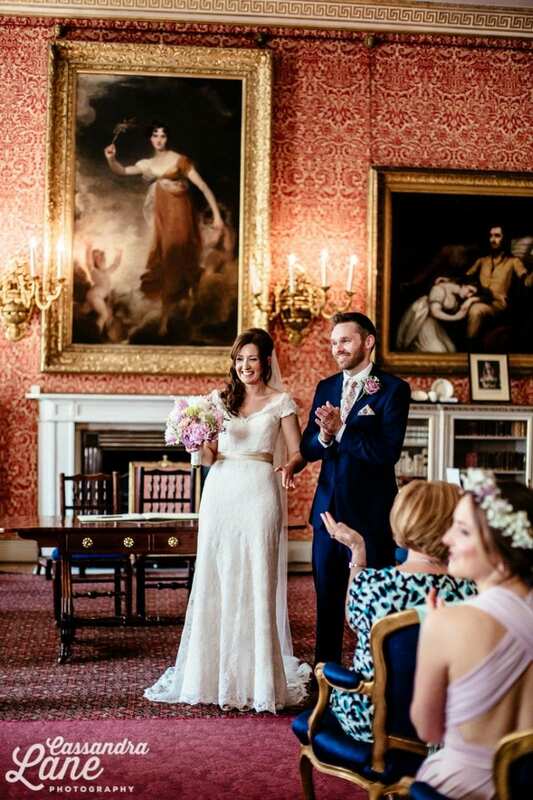 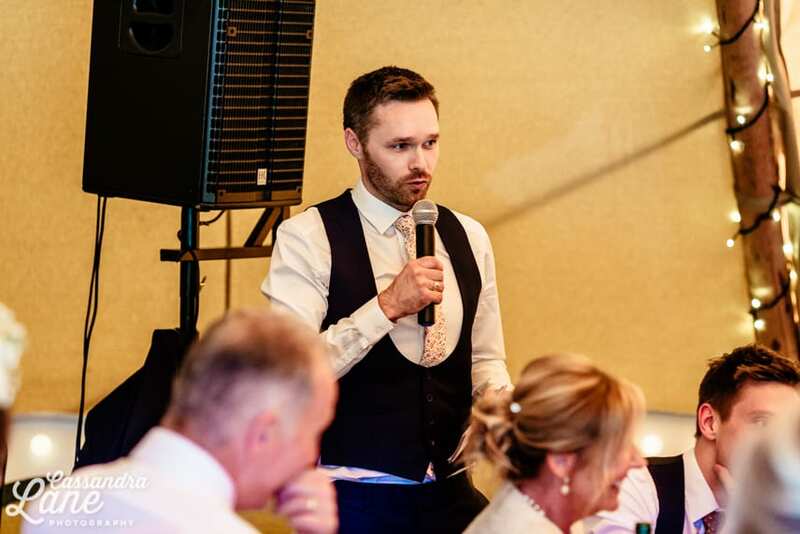 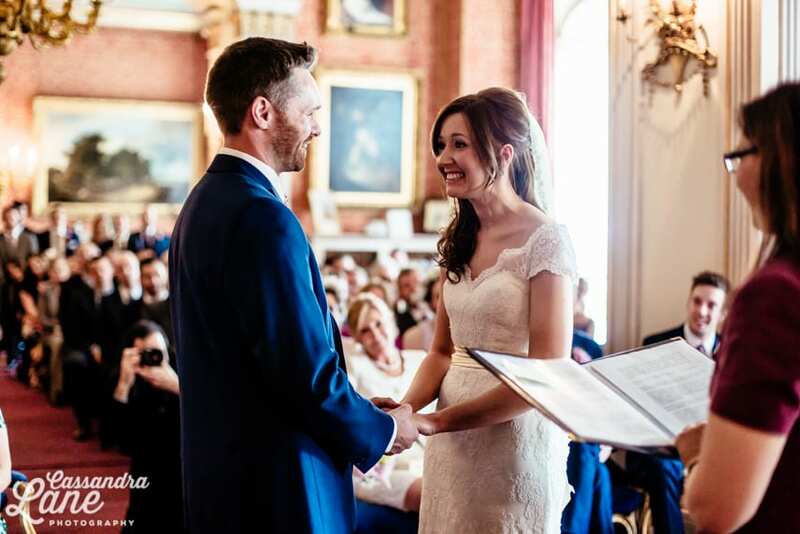 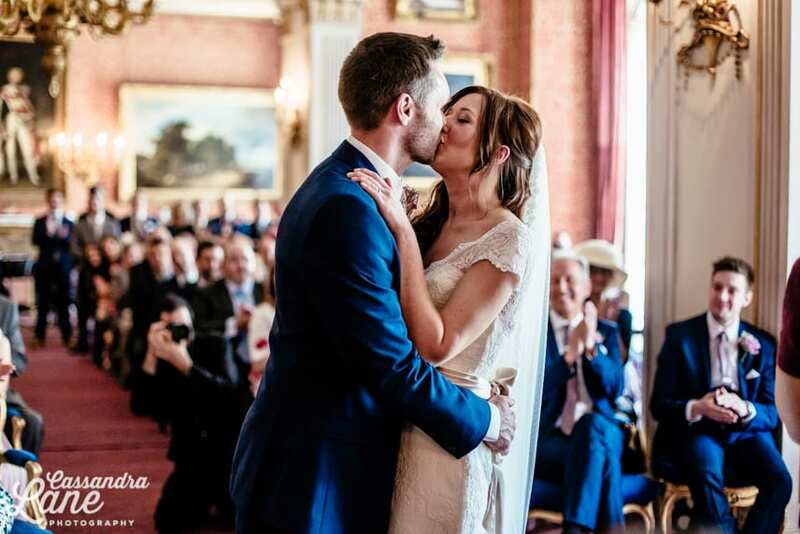 Tabley House in Knutsford provided a grand setting for Bex & Chris’ ceremony. 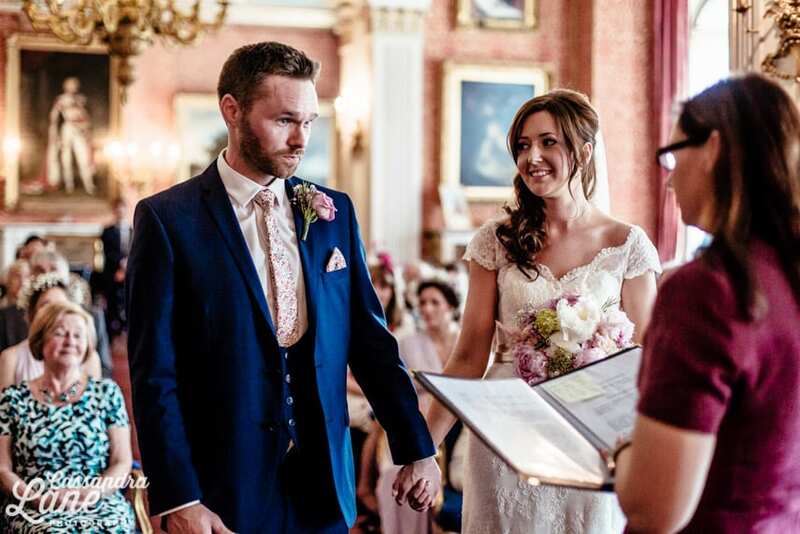 Bex & Chris had chosen two readings, both of which made everyone cry! 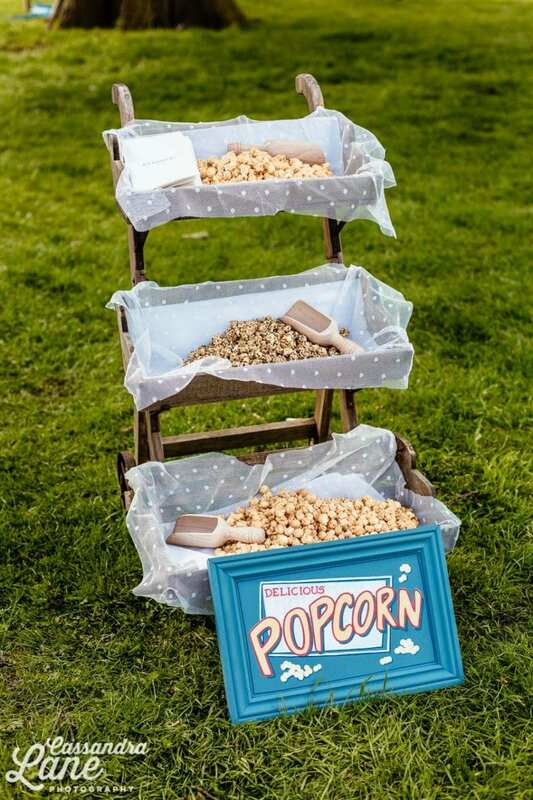 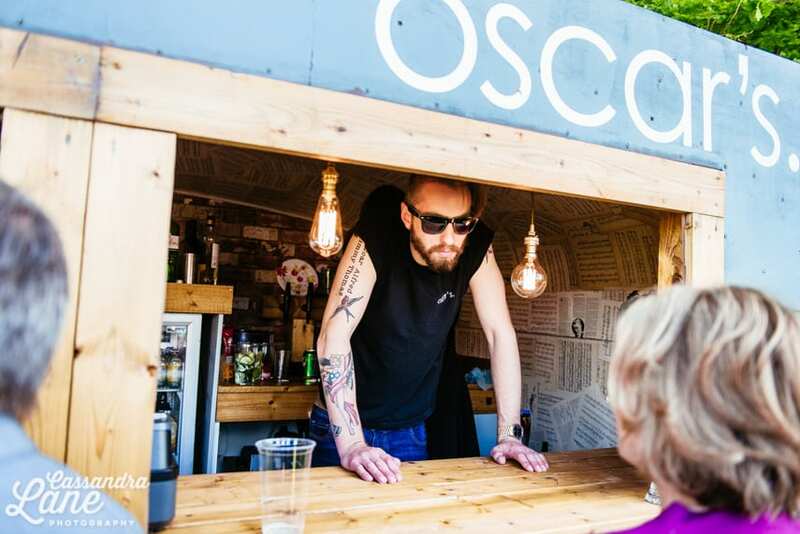 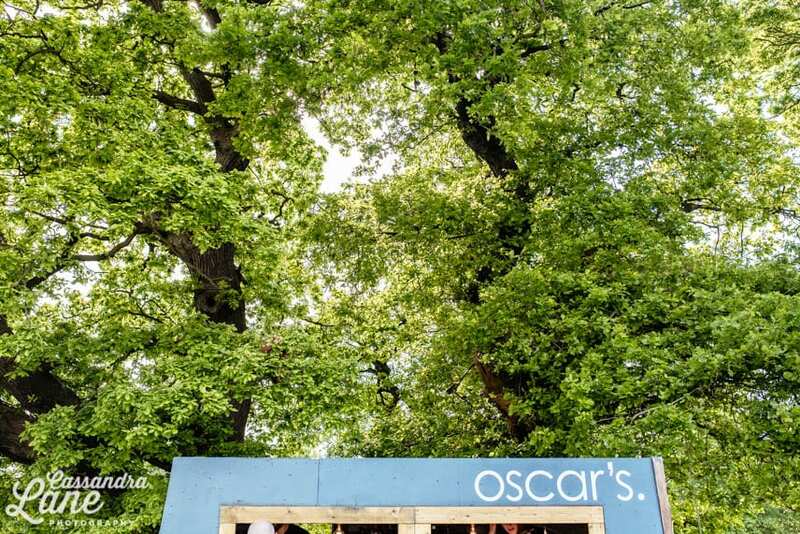 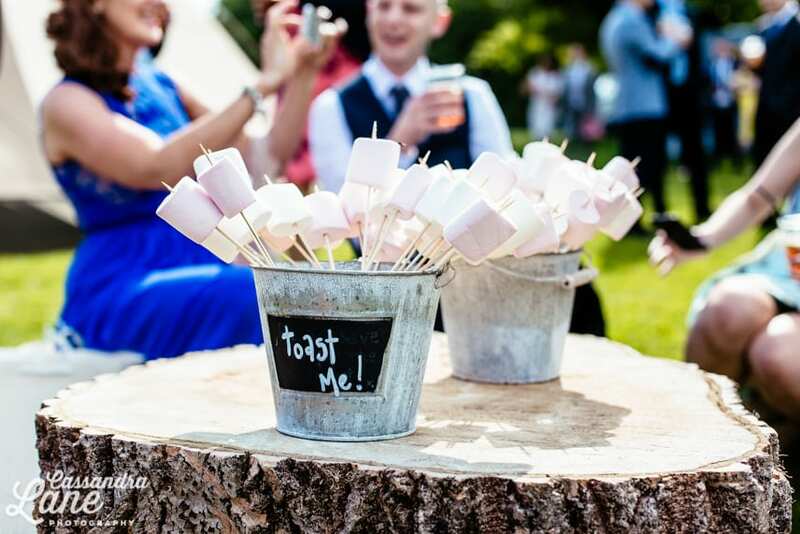 After the ceremony, it was onto a nearby field for the tipi reception, where Bex & Chris had laid on gourmet popcorn, marshmallows for toasting and drinks provided by Oscars mobile bar. 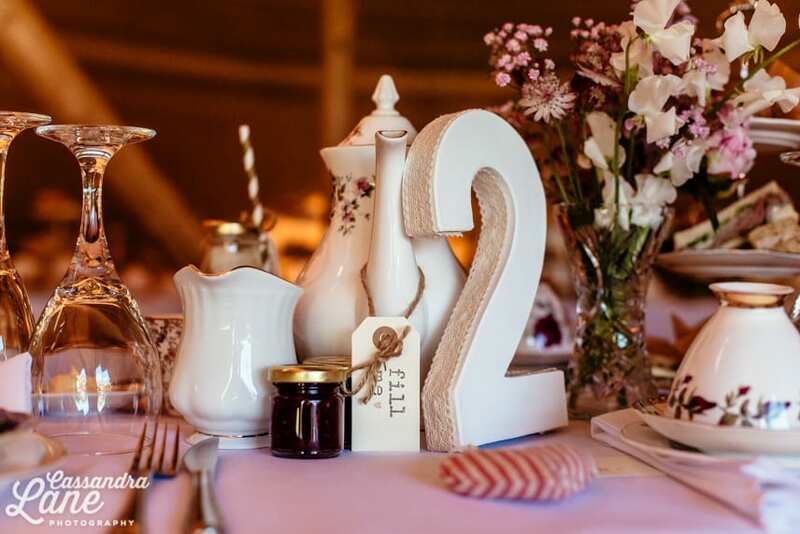 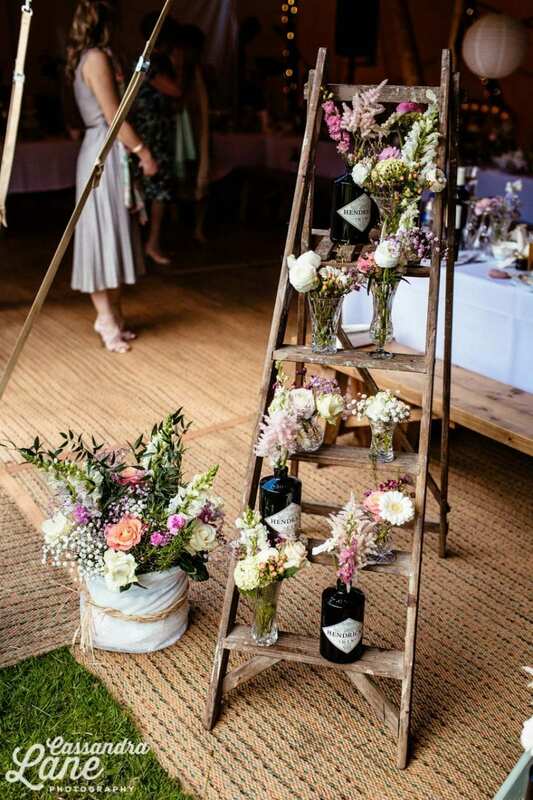 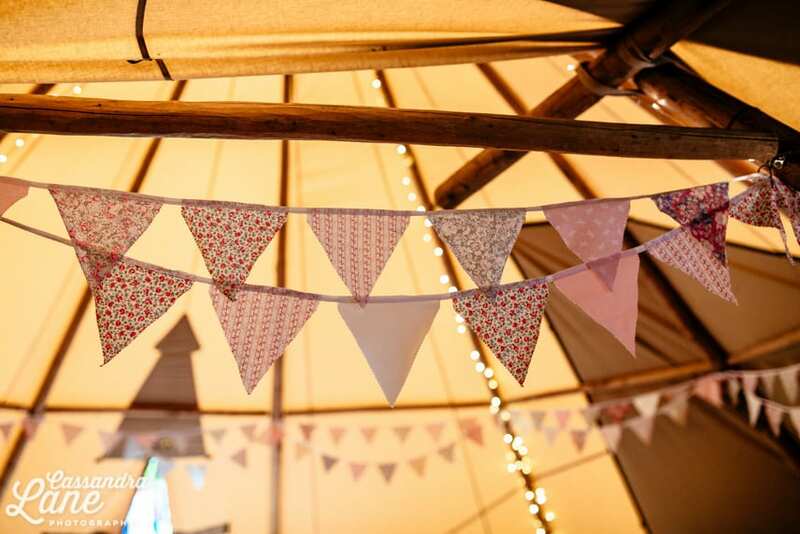 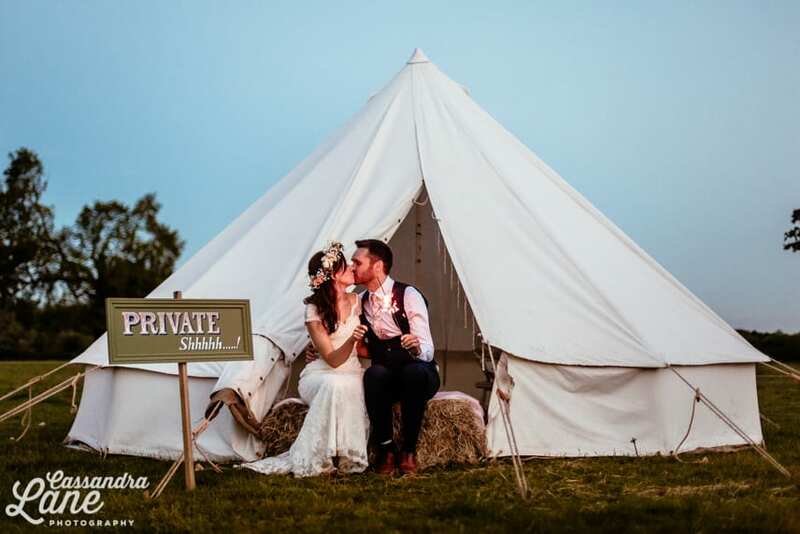 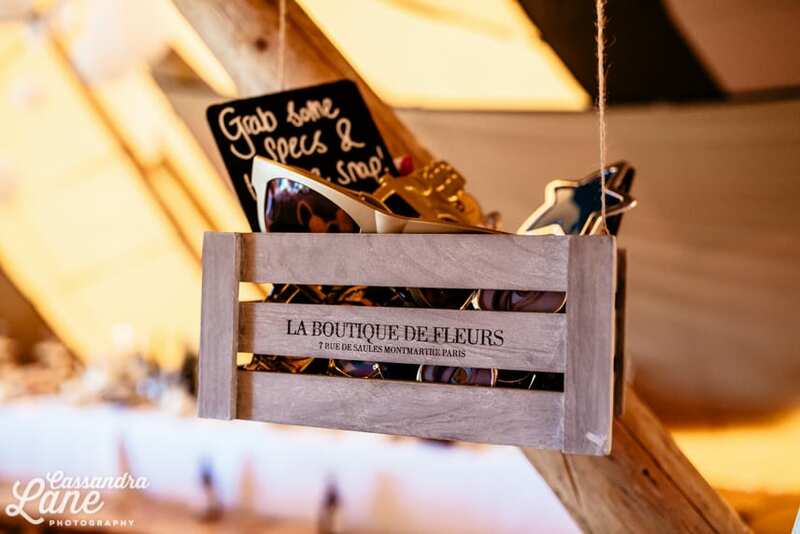 Bex & Chris had been working very hard to decorate the tipi with all the rustic vintage touches and it was safe to say all their hard work had paid off. 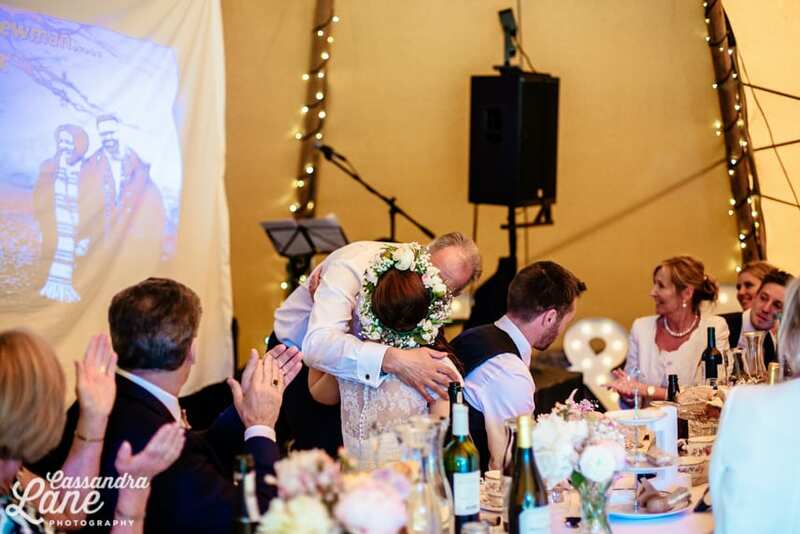 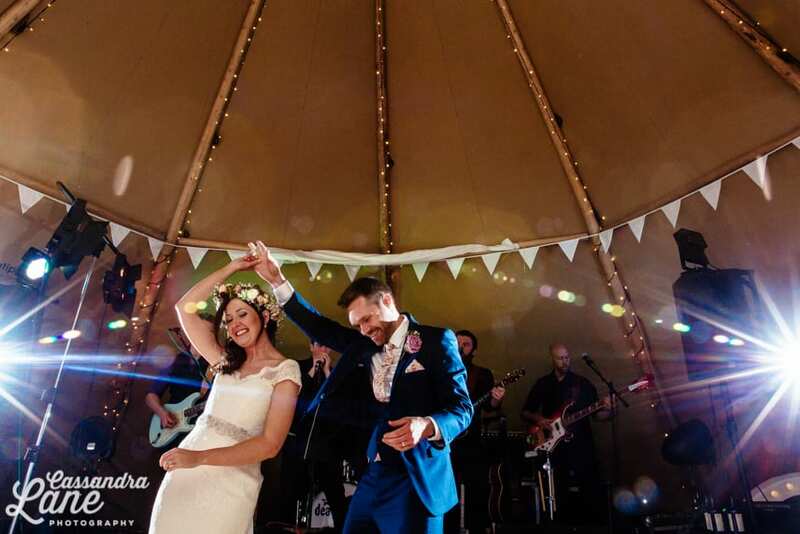 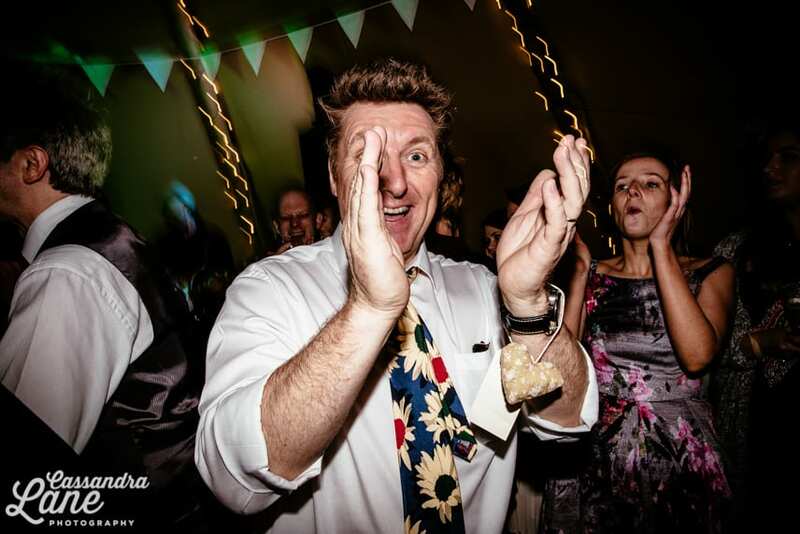 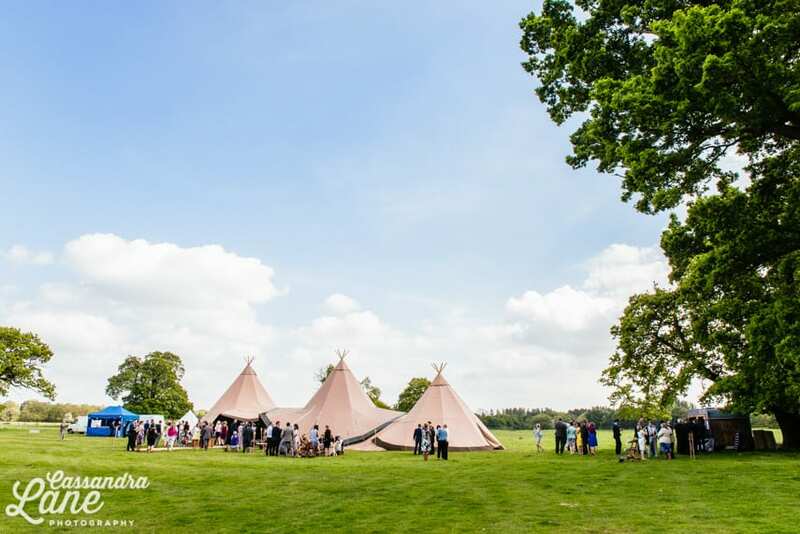 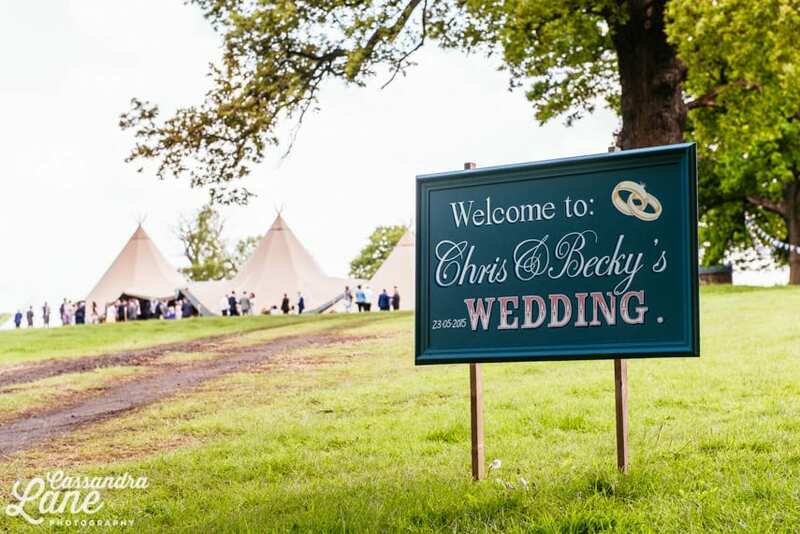 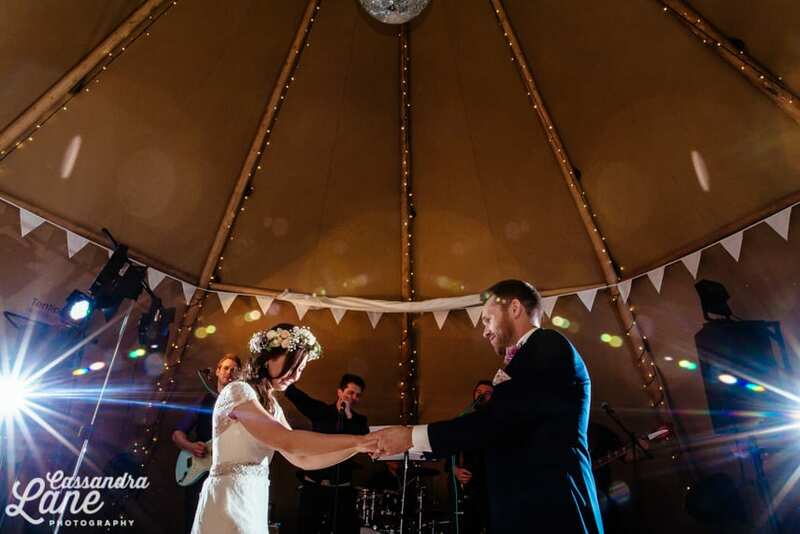 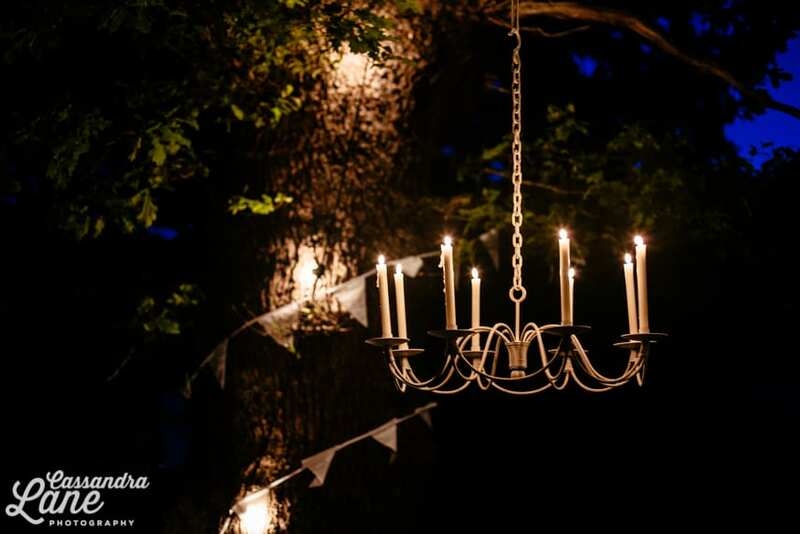 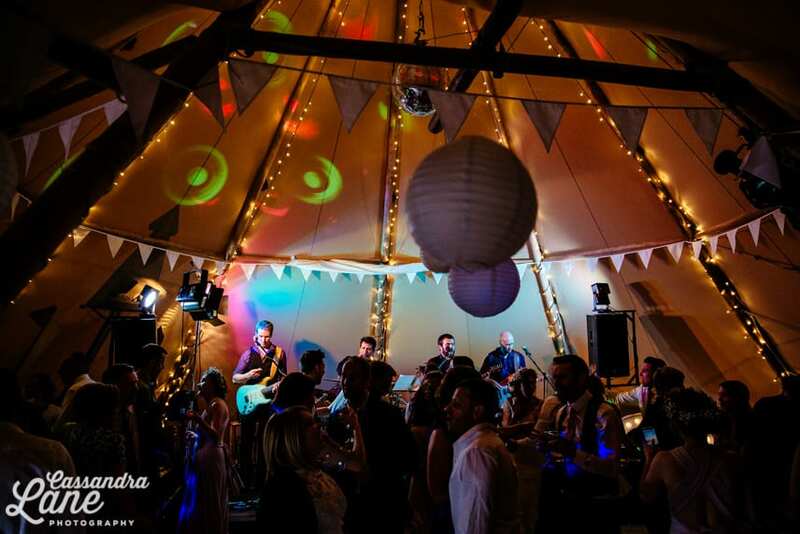 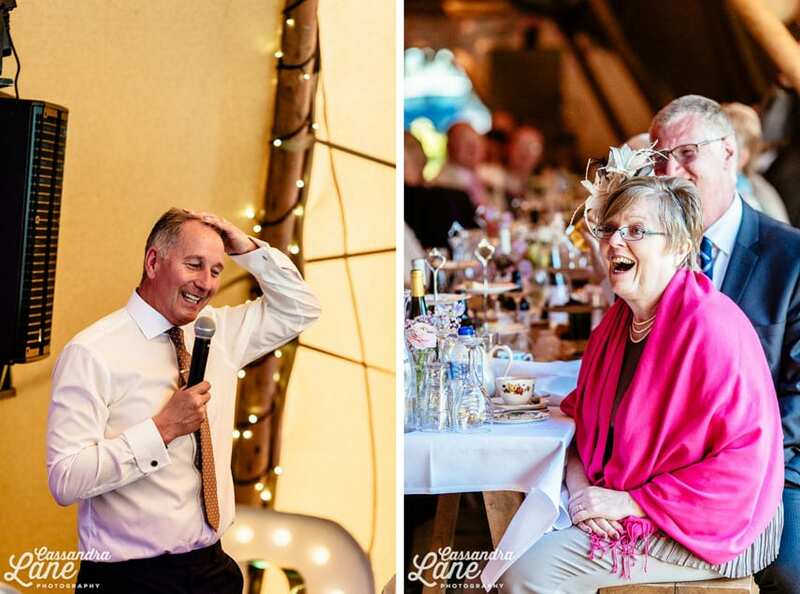 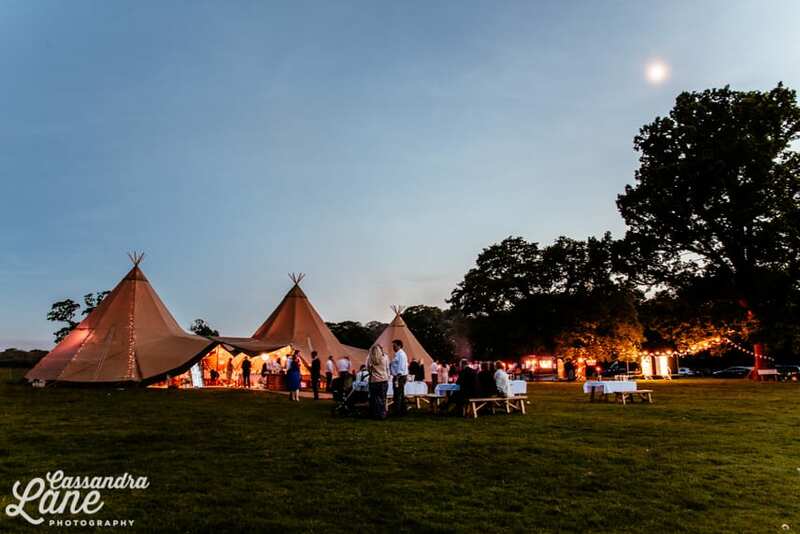 Along with their family and friends, they had done an absolutely amazing job of styling the tipi. 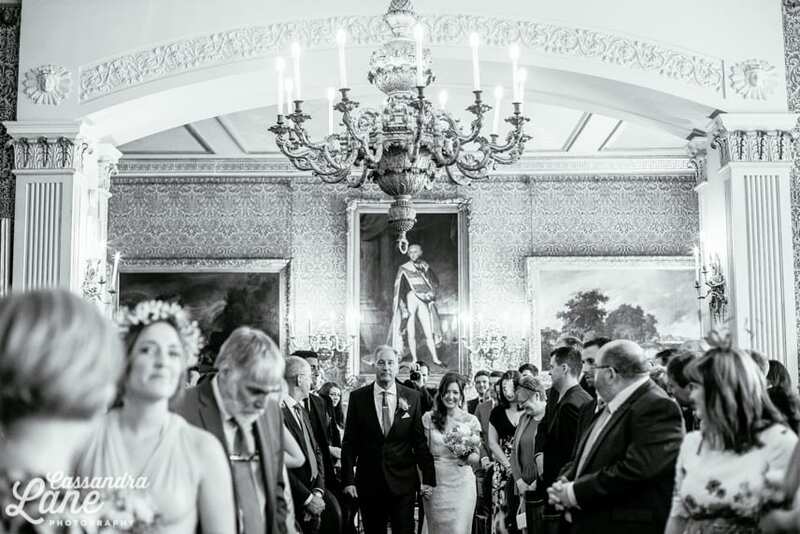 It was great to see their guests’ reactions when they saw inside! 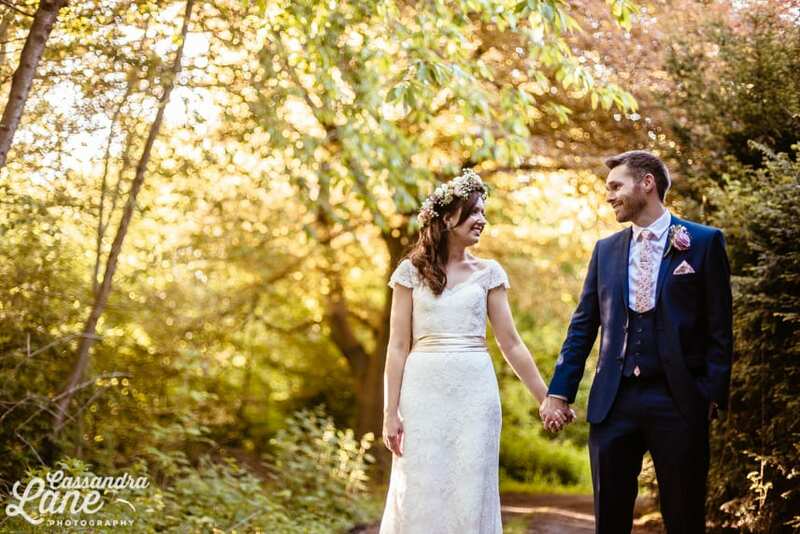 As it was such great weather on Bex & Chris’ wedding day, we shot their portraits at golden hour when the light was simply stunning. 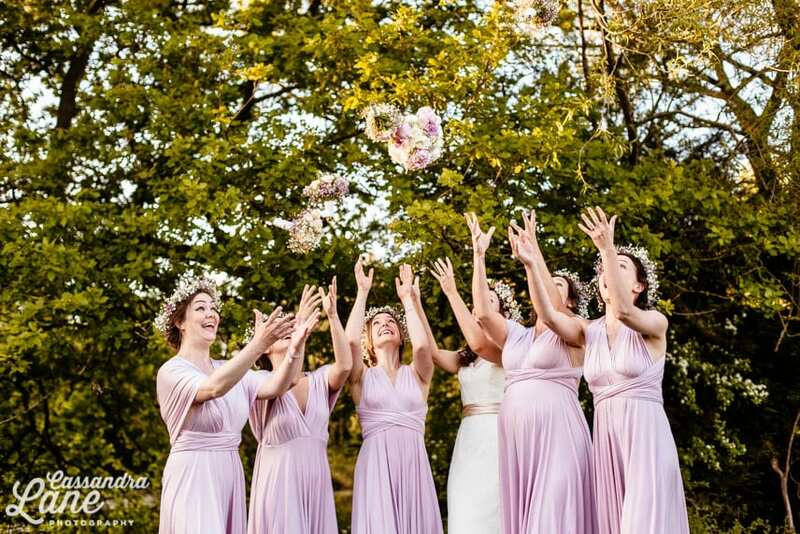 The sunset was so fantastic, we also got the bridesmaids involved in the shots, throwing their bouquets and walking along in the warm sunshine. 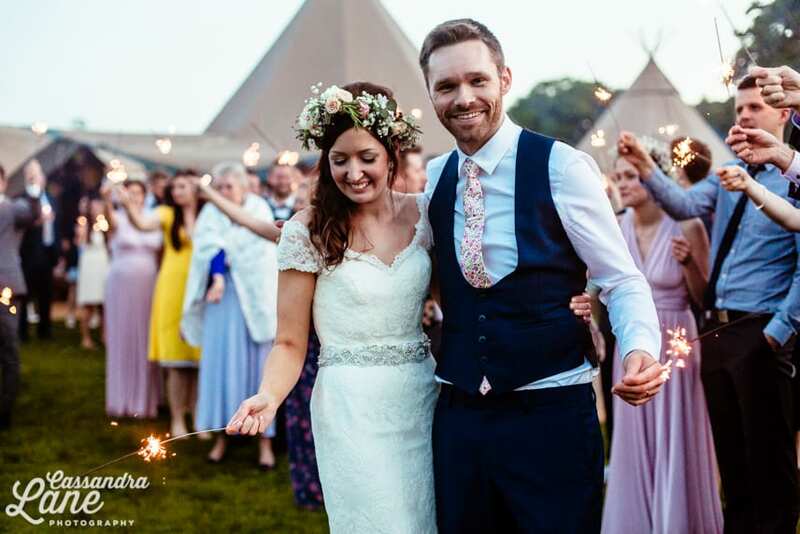 And as the sun came right down, we got all the guests to wave sparklers too! 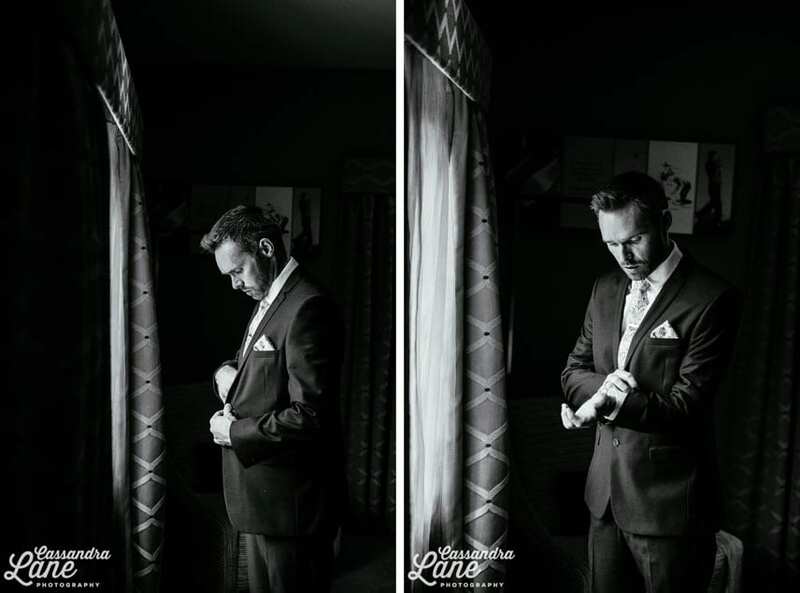 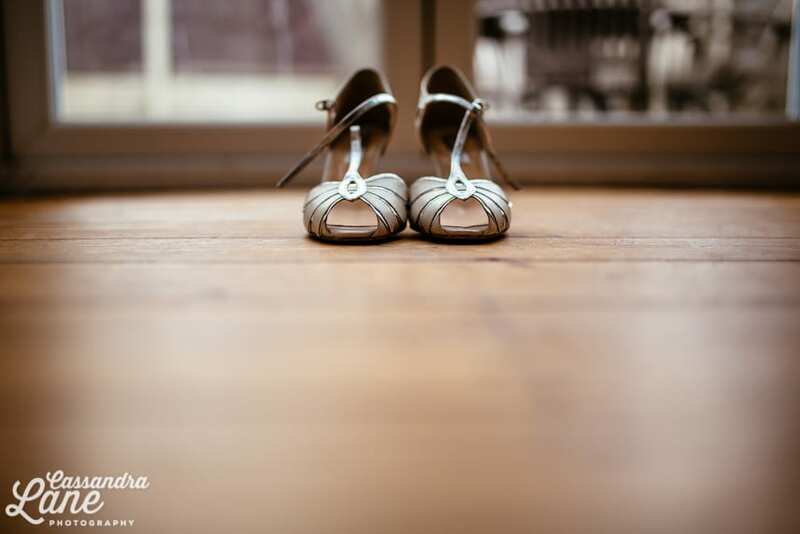 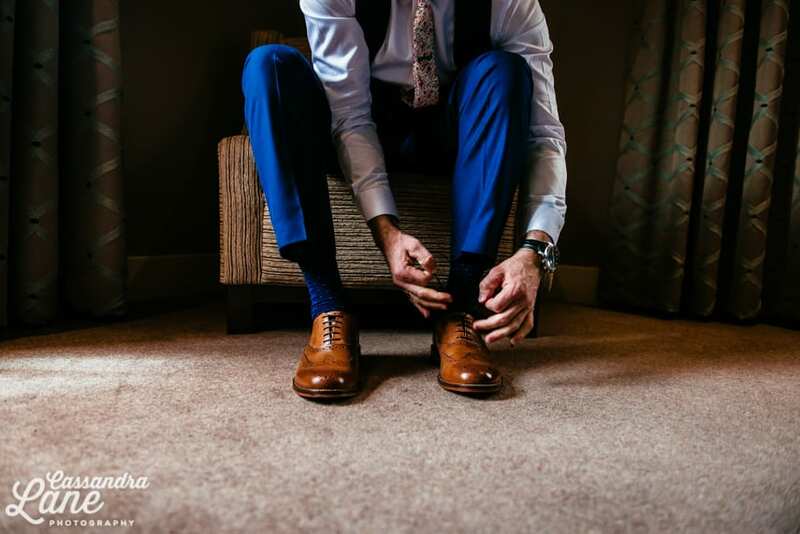 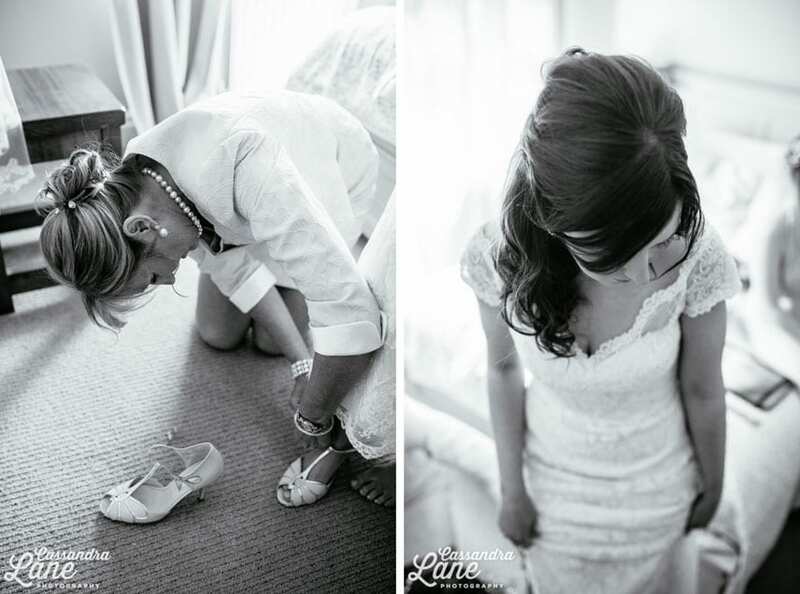 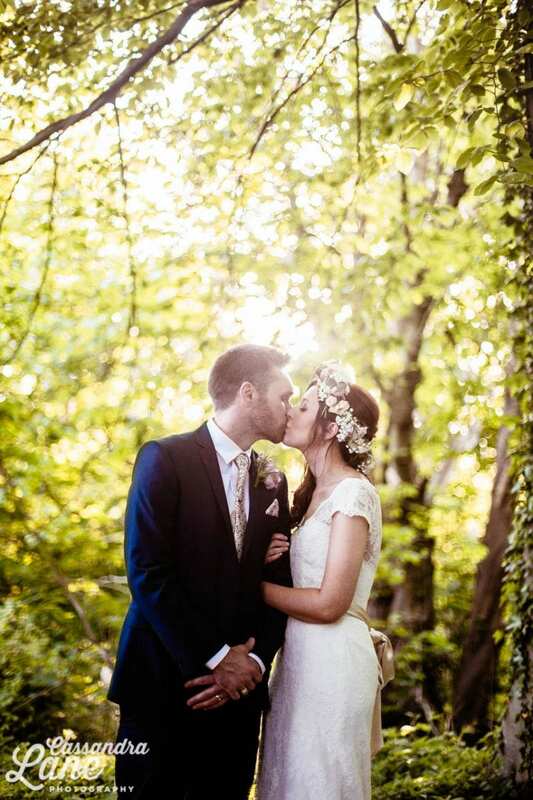 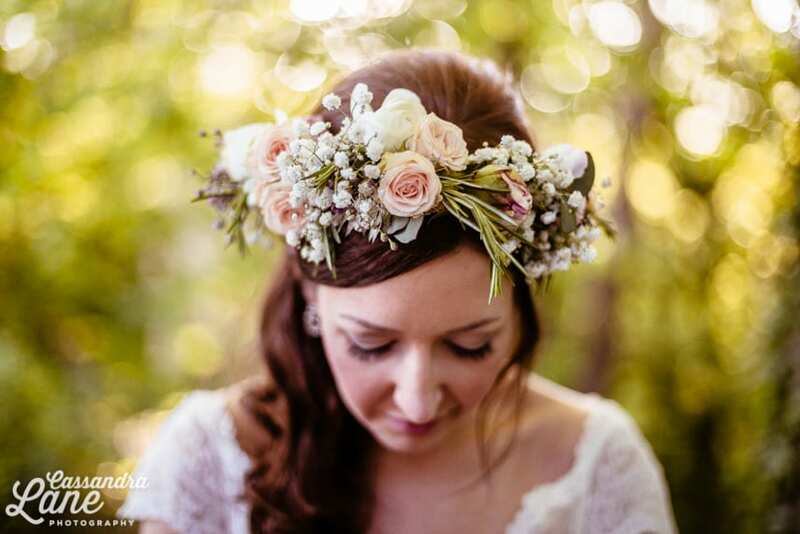 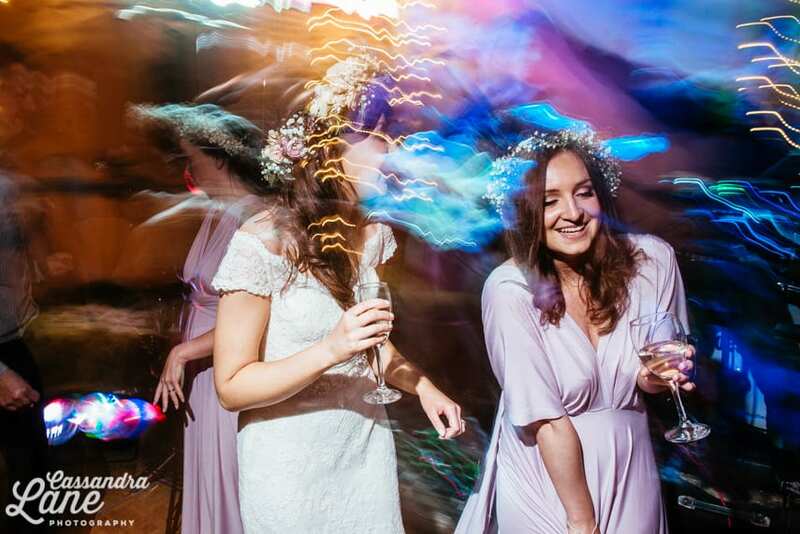 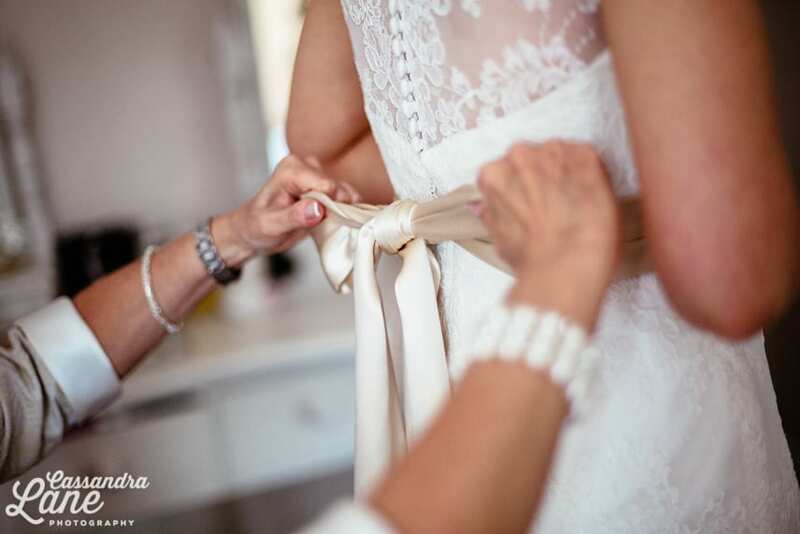 Some of the most beautiful wedding photographs I have ever seen. 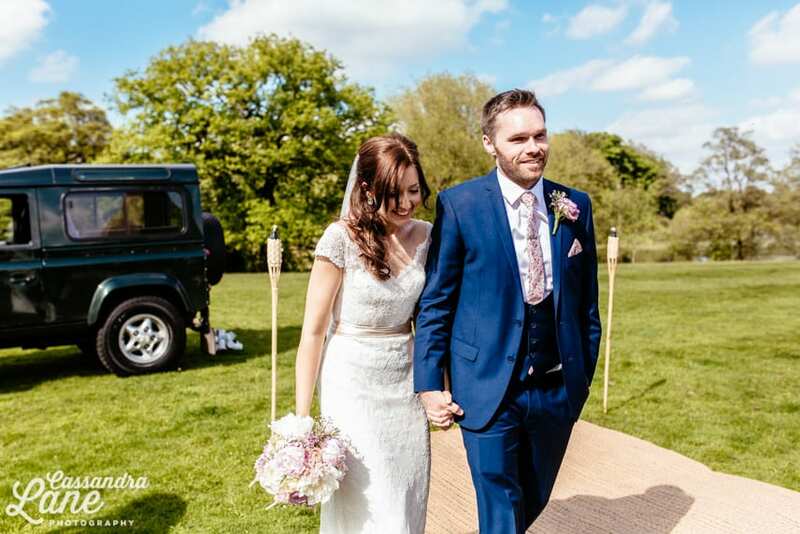 An amazing day, made amazing by some amazing people. 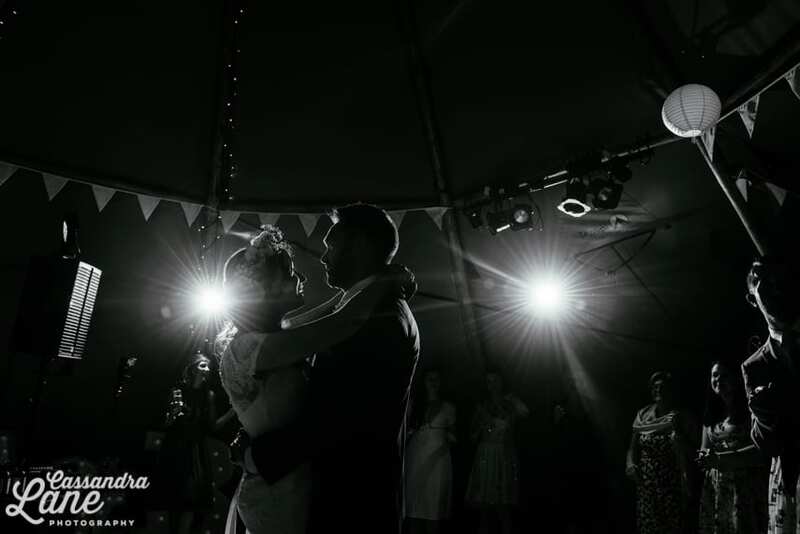 Amazing photos too. 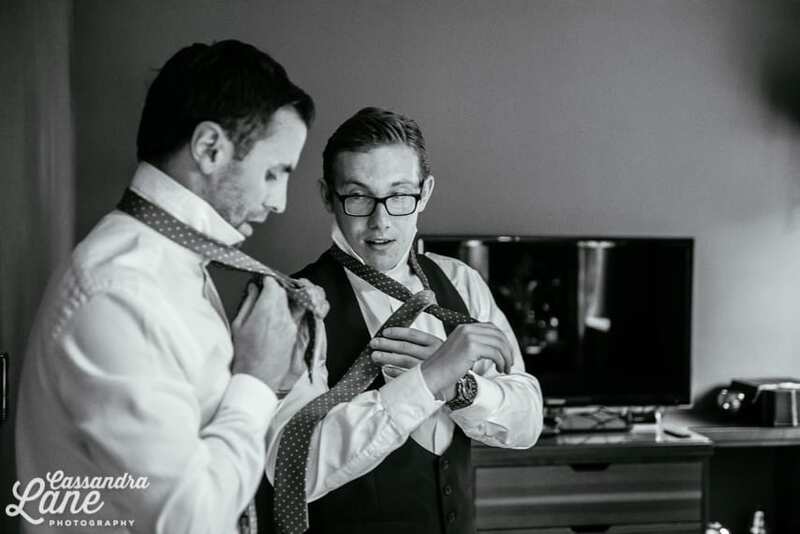 So glad to have been a part of it. 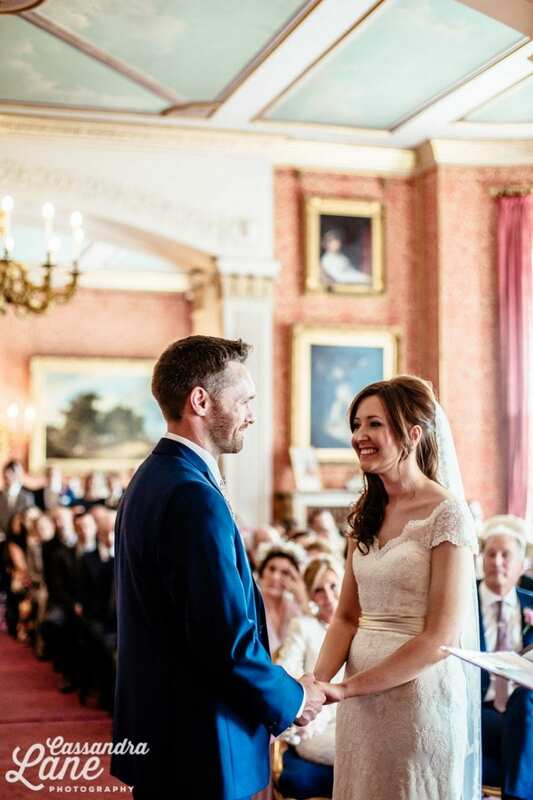 Fantastic day, with fantastic people, and memories made to last by fantastic photographs!